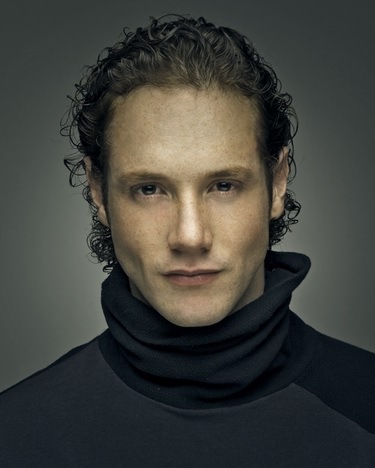 Daniel Diges was born in Alcala de Henares, Madrid, on 17 January 1981. Studied Drama in the "Estudio de Actores", "Gina Piccirilli" training center and musical theater "Memory", as well as taking courses with Fernando Piernas, Emilia Mazer, Rene Pereira, Eva Lesmes. Started his career in theater in TELA of his hometown, he also appeared in various telvison commercials. He worked in children's series like "Club Megatrix" (1995), and teen series "Nada es para siempre" in which, over 275 chapters (1999-2000) played the role of Gato. He has appeared in popular shows like "Ana y los siete", "Hospital Central" and "Aqui no hay quien viva" (playing the role of DJ Gayumbo), as well as in the program "Max Clan" (2003-2004), where he played role of Max. In 2005 there was the series "Agitacion + IVA" and later he turned back to theater, where he appeared as Colate in "En tu fiesta me cole" and as Mario in "Hoy no me puedo levantar". In 2007 starred as Galileo in the Queen musical "We Will Rock You". In 2008 starred in "High School Musical" playing Troy. Currently plays the character of Sky in "Mamma Mia!" and is working on release of his debut album. Listen to the song here. Watch video presentation of the song here, national final performance here, El Hormiguero performance here. Р”Р°РЅРёРµР»СЊ Р”РёС…РµСЃ СЂРѕРґРёР»СЃСЏ РІ РђР»РєР°Р»Р° РґРµ РҐРµРЅР°СЂРµСЃ, РњР°РґСЂРёРґ, 17РіРѕ СЏРЅРІР°СЂСЏ 1981 РіРѕРґ. Р�Р·СѓС‡Р°Р» С‚РµР°С‚СЂР°Р»СЊРЅРѕРµ РёСЃРєСѓСЃСЃС‚РІРѕ РІ "Estudio de Actores", СѓС‡РµР±РЅРѕРј С†РµРЅС‚СЂРµ "Gina Piccirilli" Рё РјСѓР·С‹РєР°Р»СЊРЅРѕРј С‚РµР°С‚СЂРµ "Memory", Р° С‚Р°РєР¶Рµ Р·Р°РєРѕРЅС‡РёР» СЂСЏРґ РєСѓСЂСЃРѕРІ СЃ Р¤РµСЂРЅР°РЅРґРѕ РџРёРµСЂРЅР°СЃРѕРј, Р­РјРёР»РёРµР№ РњР°Р·РµСЂ, Р РµРЅРµ РџРµСЂРµР№СЂРѕР№ Рё Р•РІРѕР№ Р›РµСЃРјРµСЃ. РќР°С‡Р°Р» РєР°СЂСЊРµСЂСѓ РІ С‚РµР°С‚СЂРµ TELA РІ СЃРІРѕРµРј СЂРѕРґРЅРѕРј РіРѕСЂРѕРґРµ, Р° С‚Р°РєР¶Рµ СЃРѕ СЃСЉРµРјРѕРє РІ С‚РµР»РµРІРёР·РёРѕРЅРЅС‹С… СЂРµРєР»Р°РјР°С…. РЎРЅРёРјР°Р»СЃСЏ РІ РґРµС‚СЃРєРѕР№ РїСЂРѕРіСЂР°РјРјРµ "Club Megatrix" (1995) Рё РјРѕР»РѕРґРµР¶РЅРѕРј СЃРµСЂРёР°Р»Рµ "Nada es para siempre" РІ РєРѕС‚РѕСЂРѕРј РёСЃРїРѕР»РЅРёР» СЂРѕР»СЊ Gato (СЃРІС‹С€Рµ 275 СЃРµСЂРёР№, 1999-2000). РџСЂРёРЅСЏР» СѓС‡Р°СЃС‚РёРµ РІ РїРѕРїСѓР»СЏСЂРЅС‹С… С€РѕСѓ "Ana y los siete", "Hospital Central" Рё "Aqui no hay quien viva" (РіРґРµ РёСЃРїРѕР»РЅРёР» СЂРѕР»СЊ DJ Gayumbo), Р° С‚Р°РєР¶Рµ РІ РїСЂРѕРіСЂР°РјРјРµ "Max Clan" (2004), РіРґРµ СЃС‹РіСЂР°Р» Max'Р°. Р’ 2005 РіРѕРґСѓ СЃРЅСЏР»СЃСЏ РІ С‚РµР»РµСЃРµСЂРёР°Р»Рµ "Agitacion + IVA" Рё, РїРѕР·РґРЅРµРµ, РІРµСЂРЅСѓР»СЃСЏ РІ С‚РµР°С‚СЂ, РіРґРµ РёСЃРїРѕР»РЅРёР» СЂРѕР»Рё Colate РІ "En tu fiesta me cole" Рё Mario РІ "Hoy no me puedo levantar". Р’ 2007 РіРѕРґСѓ СЃС‹РіСЂР°Р» Galileo РІ РјСЋР·РёРєР»Рµ РїРѕ РїРµСЃРЅСЏРј РіСЂСѓРїРїС‹ Queen "We Will Rock You". Р’ 2008 РіРѕРґСѓ РёСЃРїРѕР»РЅРёР» СЂРѕР»СЊ Troy РІ "High School Musical". Р’ РЅР°СЃС‚РѕСЏС‰РµРµ РІСЂРµРјСЏ РёРіСЂР°РµС‚ СЂРѕР»СЊ Sky РІ РјСЋР·РёРєР»Рµ "Mamma Mia!" Рё СЂР°Р±РѕС‚Р°РµС‚ РЅР° РґРµР±СЋС‚РЅС‹Рј Р°Р»СЊР±РѕРјРѕРј. РџСЂРѕСЃР»СѓС€Р°С‚СЊ РїРµСЃРЅСЋ РјРѕР¶РЅРѕ Р·РґРµСЃСЊ. Р’РёРґРµРѕ РїСЂРµР·РµРЅС‚Р°С†РёСЋ РїРµСЃРЅРё РјРѕР¶РЅРѕ РїСЂРѕСЃРјРѕС‚СЂРµС‚СЊ Р·РґРµСЃСЊ, РІС‹СЃС‚СѓРїР»РµРЅРёРµ РЅР° РЅР°С†РёРѕРЅР°Р»СЊРЅРѕРј РѕС‚Р±РѕСЂРµ Р·РґРµСЃСЊ, РІС‹СЃС‚СѓРїР»РµРЅРёРµ РЅР° El Hormiguero Р·РґРµСЃСЊ. Con dulzura con cariГ±o y con pasiГіn. El tiempo se termina ahora de verdad. Que se enreda entre mis manos al calor. El resto de las cosas ya se arreglaran. you want to break my heart! 23/02 "Miss Spain, now I know how it feels! It's incredible. I'm speachless. I think there are only very few moments like this in the whole life" said Spanish winner Daniel Diges at the online-conference on TVE today. Daniel Diges has noted that the stage presentation (prepared by Mayte Marcos who worked with High School Musical) will likely only be polished but in general will stay the same. On the question whether a English version will be done, it has not been yet decided as Daniel is not very good in English, but he had an experience of performing in musicals with English songs. Daniel noted that he would welcome use of orchestra at Eurovision, as he thinks his song peformed with symphonic orchestra will only become more impressive. Daniel is hoping that European viewers will like the song as well: "If so many people liked it in Spain, why the rest of the Europe will be different? ", he asked. Reacting on the question that his song concept reminds that of "Fairytale" of Rybak Diges said: "It means that both songs have quality. This boy won me over last year. He performed with a great energy and I loved it. Well, there is nothing similar in songs music-wise, but the similarity is in fact that we both are actors on stage, and I'm happy that people notice it". He was presenter, actor, singer... what is left for him? "I need to become a stripper! ", joked Daniel. "РњРёСЃСЃ Р�СЃРїР°РЅРёСЏ, СЏ С‚РµРїРµСЂСЊ Р·РЅР°СЋ, С‡С‚Рѕ СЌС‚Рѕ Р·Р° С‡СѓРІСЃС‚РІРѕ! Р­С‚Рѕ РЅРµРІРµСЂРѕСЏС‚РЅРѕ, Сѓ РјРµРЅСЏ РїСЂРѕСЃС‚Рѕ РЅРµС‚ СЃР»РѕРІ. РњРЅРµ РєР°Р¶РµС‚СЃСЏ, С‡С‚Рѕ РІ Р¶РёР·РЅРё Р±С‹РІР°РµС‚ РІСЃРµРіРѕ РЅРµСЃРєРѕР»СЊРєРѕ РїРѕРґРѕР±РЅС‹С… РјРѕРјРµРЅС‚РѕРІ", СЃРєР°Р·Р°Р» РїРѕР±РµРґРёС‚РµР»СЊ РёСЃРїР°РЅСЃРєРѕРіРѕ РЅР°С†РёРѕРЅР°Р»СЊРЅРѕРіРѕ РѕС‚Р±РѕСЂР° Р”Р°РЅРёРµР»СЊ Р”РёС…РµСЃ РЅР° РѕРЅР»Р°Р№РЅ-РєРѕРЅС„РµСЂРµРЅС†РёРё, РїСЂРѕРІРµРґРµРЅРЅРѕР№ СЃРµРіРѕРґРЅСЏ С‚РµР»РµРєР°РЅР°Р»РѕРј TVE. Р”Р°РЅРёРµР»СЊ РѕС‚РјРµС‚РёР», С‡С‚Рѕ СЃС†РµРЅРёС‡РµСЃРєРѕРµ РІС‹СЃС‚СѓРїР»РµРЅРёРµ (Р°РІС‚РѕСЂРѕРј РєРѕС‚РѕСЂРѕРіРѕ СЏРІР»СЏРµС‚СЃСЏ РњР°Р№С‚Рµ РњР°СЂРєРѕСЃ, РєРѕС‚РѕСЂС‹Р№ СЂР°Р±РѕС‚Р°Р» РЅР°Рґ РїРѕСЃС‚Р°РЅРѕРІРєРѕР№ High School Musical) РЅРµ Р±СѓРґРµС‚ СЃРёР»СЊРЅРѕ РјРµРЅСЏС‚СЊСЃСЏ, Р±СѓРґРµС‚ Р»РёС€СЊ РЅРµСЃРєРѕР»СЊРєРѕ РѕС‚РїРѕР»РёСЂРѕРІР°РЅРѕ. РќР° РІРѕРїСЂРѕСЃ Рѕ Р·Р°РїРёСЃРё Р°РЅРіР»РёР№СЃРєРѕР№ РІРµСЂСЃРёРё РїРµСЃРЅРё, СЂРµС€РµРЅРёРµ РѕР± СЌС‚РѕРј РµС‰Рµ РЅРµ РїСЂРёРЅСЏС‚Рѕ, РїРѕСЃРєРѕР»СЊРєСѓ Р”Р°РЅРёРµР»СЊ РЅРµ РѕС‡РµРЅСЊ С…РѕСЂРѕС€Рѕ РІР»Р°РґРµРµС‚ СЌС‚РёРј СЏР·С‹РєРѕРј, С…РѕС‚СЏ Рё РёРјРµРµС‚ РѕРїС‹С‚ РёСЃРїРѕР»РЅРµРЅРёСЏ РїРµСЃРµРЅ РЅР° Р°РЅРіР»РёР№СЃРєРѕРј РІ РјСЋР·РёРєР»Р°С…. Р”Р°РЅРёРµР»СЊ С‚Р°РєР¶Рµ РѕС‚РјРµС‚РёР», С‡С‚Рѕ Р±С‹Р» Р±С‹ СЂР°Рґ РІРѕР·РІСЂР°С‰РµРЅРёСЋ РІ Р•РІСЂРѕРІРёРґРµРЅРёРµ Р¶РёРІРѕРіРѕ РѕСЂРєРµСЃС‚СЂР°, РїРѕСЃРєРѕР»СЊРєСѓ РІ СЃРѕРїСЂРѕРІРѕР¶РґРµРЅРёРё СЃРёРјС„РѕРЅРёС‡РµСЃРєРѕРіРѕ РѕСЂРєРµСЃС‚СЂР° РµРіРѕ РїРµСЃРЅСЏ РїСЂРѕР·РІСѓС‡Р°Р»Р° Р±С‹ РµС‰Рµ Р±РѕР»РµРµ РІРїРµС‡Р°С‚Р»СЏСЋС‰Рµ. Р”Р°РЅРёРµР»СЊ РЅР°РґРµРµС‚СЃСЏ, С‡С‚Рѕ РµРІСЂРѕРїРµР№СЃРєРёРµ Р·СЂРёС‚РµР»Рё С‚Р°РєР¶Рµ РїРѕРґРґРµСЂР¶СѓС‚ РµРіРѕ РїРµСЃРЅСЋ. "Р•СЃР»Рё РѕРЅР° РїРѕРЅСЂР°РІРёР»Р°СЃСЊ СЃС‚РѕР»СЊРєРёРј Р»СЋРґСЏРј РІ Р�СЃРїР°РЅРёРё, РїРѕС‡РµРјСѓ РІ Р•РІСЂРѕРїРµ РґРѕР»Р¶РЅРѕ Р±С‹С‚СЊ РёРЅР°С‡Рµ? ", РІРѕРїСЂРѕС€Р°РµС‚ РѕРЅ. РќР° СЃСЂР°РІРЅРµРЅРёРµ Рѕ С‚РѕРј, С‡С‚Рѕ РєРѕРЅС†РµРїС†РёСЏ РµРіРѕ РїРµСЃРЅРё РЅР°РїРѕРјРёРЅР°РµС‚ "Fairytale" РђР»РµРєСЃР°РЅРґСЂР° Р С‹Р±Р°РєР° РїРµРІРµС† РѕС‚РјРµС‚РёР»: "Р­С‚Рѕ РѕР·РЅР°С‡Р°РµС‚, С‡С‚Рѕ РѕР±Рµ РїРµСЃРЅРё - РєР°С‡РµСЃС‚РІРµРЅРЅС‹Рµ. Р­С‚РѕС‚ РјР°Р»СЊС‡РёРє Рё РјРµРЅСЏ С‚РѕР¶Рµ РїРѕРєРѕСЂРёР» РІ РїСЂРѕС€Р»РѕРј РіРѕРґСѓ. РћРЅ РёСЃРїРѕР»РЅРёР» СЃРІРѕСЋ РїРµСЃРЅСЋ СЃ РѕРіСЂРѕРјРЅРѕР№ СЌРЅРµСЂРіРёРµР№ Рё РјРЅРµ РѕС‡РµРЅСЊ РїРѕРЅСЂР°РІРёР»РѕСЃСЊ. РќР° СЃР°РјРѕРј РґРµР»Рµ, РІ СЃР°РјРёС… РїРµСЃРЅСЏС…, РЅРµС‚ РЅРёС‡РµРіРѕ РѕР±С‰РµРіРѕ, РЅРѕ РїРѕС…РѕР¶РµСЃС‚СЊ Р·Р°РєР»СЋС‡Р°РµС‚СЃСЏ РІ С‚РѕРј, С‡С‚Рѕ РјС‹ РѕР±Р° - Р°РєС‚РµСЂС‹ РЅР° СЃС†РµРЅРµ, Рё СЏ СЂР°Рґ, С‡С‚Рѕ Р»СЋРґРё СЌС‚Рѕ РїРѕРґРјРµС‚РёР»Рё". РћРЅ Р±С‹Р» РІРµРґСѓС‰РёРј, Р°РєС‚РµСЂРѕРј, РїРµРІС†РѕРј... РєР°РєРёРµ РµС‰Рµ РїСЂРѕС„РµСЃСЃРёРё РёСЃРїСЂРѕР±СѓРµС‚ Р”Р°РЅРёРµР»СЊ Р”РёС…РµСЃ? "РњРЅРµ РЅР°РґРѕ СЃС‚Р°С‚СЊ СЃС‚СЂРёРїС‚РёР·РµСЂРѕРј! ", РїРѕС€СѓС‚РёР» РѕРЅ. 09/02 Spanish national final will take place on Monday, February 22nd. The gala will take place at Estudios BuСЃuel de Madrid. Hosts of the show will be Anne Igartiburu and Ainhoa Arbizu. Guests of the show will be Rosa, Sergio Dalma and David Bustamante. Jury will be made of : Manuel Bandera, JosГ© MarГ­a ГЌГ±igo, Mariola Orellana, Toni Garrido and Pilar Tabares. Currently, RTVE is running online-conferences with the selected finalists which will end on 15th of February. Proceed here if you want to ask questions and read answers. Р¤РёРЅР°Р» РёСЃРїР°РЅСЃРєРѕРіРѕ РЅР°С†РёРѕРЅР°Р»СЊРЅРѕРіРѕ РѕС‚Р±РѕСЂР° РїСЂРѕР№РґРµС‚ РІ РїРѕРЅРµРґРµР»СЊРЅРёРє, 22РіРѕ С„РµРІСЂР°Р»СЏ. Р“Р°Р»Р° РєРѕРЅС†РµСЂС‚ СЃРѕСЃС‚РѕРёС‚СЃСЏ РІ СЃС‚СѓРґРёРё Bucuel РІ РњР°РґСЂРёРґРµ. Р’РµРґСѓС‰РёРјРё С€РѕСѓ СЃС‚Р°РЅСѓС‚ РђРЅРЅР° Р�РіР°СЂС‚РёР±СѓСЂСѓ Рё РђР№РЅРѕР° РђСЂР±РёС†Сѓ. Р“РѕСЃС‚СЏРјРё С€РѕСѓ СЃС‚Р°РЅСѓС‚ Rosa, Sergio Dalma Рё David Bustamante. Р’ Р¶СЋСЂРё РЅР°С†РёРѕРЅР°Р»СЊРЅРѕРіРѕ РѕС‚Р±РѕСЂР° РІРѕР№РґСѓС‚: Manuel Bandera, JosГ© MarГ­a ГЌГ±igo, Mariola Orellana, Toni Garrido and Pilar Tabares. Р’ РЅР°СЃС‚РѕСЏС‰РµРµ РІСЂРµРјСЏ RTVE РїСЂРѕРІРѕРґРёС‚ РѕРЅР»Р°Р№РЅ-РєРѕРЅС„РµСЂРµРЅС†РёРё СЃ РѕС‚РѕР±СЂР°РЅРЅС‹РјРё С„РёРЅР°Р»РёСЃС‚Р°РјРё РѕС‚Р±РѕСЂР°. Р—Р°РґР°С‚СЊ СЃРІРѕРё РІРѕРїСЂРѕСЃС‹ Рё РїРѕР·РЅР°РєРѕРјРёС‚СЊСЃСЏ СЃ РѕС‚РІРµС‚Р°РјРё РІС‹ РјРѕР¶РµС‚Рµ Р·РґРµСЃСЊ. 08/02 No changes in the list of 10 finalists for Spanish national Eurovision preselection. Today, at 17.00 CET RTVE holds a chat with winner of the first stage of the show Coral. Р�Р·РјРµРЅРµРЅРёР№ РІ СЃРїРёСЃРєРµ 10 С„РёРЅР°Р»РёСЃС‚РѕРІ РёСЃРїР°РЅСЃРєРѕРіРѕ РЅР°С†РёРѕРЅР°Р»СЊРЅРѕРіРѕ РѕС‚Р±РѕСЂР° РЅРµ РїСЂРѕРёР·РѕС€Р»Рѕ. РЎРµРіРѕРґРЅСЏ РІ 19.00 РњРѕСЃРєРІС‹ RTVE РїСЂРѕРІРµРґРµС‚ С‡Р°С‚ СЃ РїРѕР±РµРґРёС‚РµР»СЊРЅРёС†РµР№ РїРµСЂРІРѕРіРѕ СЌС‚Р°РїР° РљРѕСЂР°Р». 05/02 Online-voting in Spanish preselection has been completed with 5,722,596 votes casted, 100,000 more than in the previous edition. The votes casted today still can be confirmed within 24 hours of their submission. On Monday at 9:00 am the official list of finalists will be published. Before that RTVE will thoroughly check the validity of all the votes, and still reserves the right to make changes to the list of 'Top voted' if there was found to be fraudulent votes in the coming hours. The provisional list of the most voted entries which will take part in the national final is as following: РћРЅР»Р°Р№РЅ-РіРѕР»РѕСЃРѕРІР°РЅРёРµ РІ РёСЃРїР°РЅСЃРєРѕРј РѕС‚Р±РѕСЂРµ РїРѕРґРѕС€Р»Рѕ Рє РєРѕРЅС†Сѓ. Р’СЃРµРіРѕ Р±С‹Р»Рѕ РїРѕРґР°РЅРѕ 5,722,596 РіРѕР»РѕСЃРѕРІ, С‡С‚Рѕ РЅР° 100,000 Р±РѕР»СЊС€Рµ, С‡РµРј РІ РїСЂРѕС€Р»РѕРј РіРѕРґСѓ. Р“РѕР»РѕСЃР° РїРѕРґР°РЅРЅС‹Рµ СЃРµРіРѕРґРЅСЏ РµС‰Рµ РјРѕРіСѓС‚ Р±С‹С‚СЊ РїРѕРґС‚РІРµСЂР¶РґРµРЅС‹ РІ С‚РµС‡РµРЅРёРё 24С… С‡Р°СЃРѕРІ РїРѕСЃР»Рµ РёС… СЂРµРіРёСЃС‚СЂР°С†РёРё. Р’ 11.00 (РјРѕСЃРєРѕРІСЃРєРѕРіРѕ РІСЂРµРјРµРЅРё) РїРѕРЅРµРґРµР»СЊРЅРёРєР° Р±СѓРґРµС‚ РѕРїСѓР±Р»РёРєРѕРІР°РЅ РѕРєРѕРЅС‡Р°С‚РµР»СЊРЅС‹Р№ СЃРїРёСЃРѕРє С„РёРЅР°Р»РёСЃС‚РѕРІ РЅР°С†РёРѕРЅР°Р»СЊРЅРѕРіРѕ РѕС‚Р±РѕСЂР°. Р”Рѕ СЌС‚РѕРіРѕ RTVE Р±СѓРґРµС‚ С‚С‰Р°С‚РµР»СЊРЅРѕ РїСЂРѕРІРµСЂСЏС‚СЊ РґРµР№СЃС‚РІРёС‚РµР»СЊРЅРѕСЃС‚СЊ РІСЃРµС… РїРѕРґР°РЅРЅС‹С… РіРѕР»РѕСЃРѕРІ Рё РѕСЃС‚Р°РІР»СЏРµС‚ Р·Р° СЃРѕР±РѕР№ РїСЂР°РІРѕ РІРЅРѕСЃРёС‚СЊ РёР·РјРµРЅРµРЅРёСЏ РІ СЃРїРёСЃРѕРє Р»РёРґРµСЂРѕРІ, РµСЃР»Рё Р±СѓРґСѓС‚ РѕР±РЅР°СЂСѓР¶РµРЅС‹ РїРѕРїС‹С‚РєРё С„Р°Р»СЊСЃРёС„РёРєР°С†РёРё. Daniel Diges - "Algo pequeГ±ito"
Samuel y Patricia - "RecuГ©rdame"
JosГ© Galisteo - "Beautiful Life"
The forecast is that, at a rate of almost 300,000 votes a day, by Friday, 5th of February when the vote will be declared closed 5 or 6 million votes will be reached, well above the 3.5 million recorded in 2009, which shows Cernuda's view that "people were not attracted only by Karmele, but by the festival itself." The expulsion of the journalist Karmele Marchante, who led the polls as "Pop Star Queen" until 21 January, is not the only controversy, as some reports suggest that the third ranked participant in the list, John Cobra, has some videos posted on internet that would encourage violence. "We studied the song that has been presented, and apparently so far it meets the basic rules," explained Cernuda, who adds that broadcaster has also seen the videos in question and in any case will continue addressing "thousands" of complaints that arrive each day. They keep on testing the songs on publication date rules, but plagiarism cases and other allegations are more difficult to investigate, according to her. "Our legal department prioritize the 15 or 20 top candidates, because we can not risk to get disqualified by EBU from competition if our entry violates Eurovision rules". Four candidates have withdrawn their nominations: Edu del Prado, La suerte de Agatha, Erika Albero and Betirako. Five votes can be casted daily from an email, and Cernuda estimated that every day from 30,000 to 50,000 fraudulent votes arrive, but system carefully checks and deletes them, so the list is clean now. The dramatic increase of votes obtained in a few days by some candidates, like John Cobra, who added more than 183,000 votes after he received support from the internet forum with 350,000 members, RTVE official explains that "there were a lot of people organized to vote for a candidate, but we can not do anything against it, because they are not doing anything illegal". For example, on the top of the list is currently the band "El Peson Rojo", whose candidacy is supported by radio program "Anda ya". Cernuda adds that in the final gala there will be a professional jury that will assess the candidates as well as the public. She concludes that the broadcaster is not going to bring any changes to the preselection method: "We are delighted how the process is working, we believe it is the best way, in fact many countries are copying us now". According to vertele.com national final will take place on February 20th and will be hosted by Anne Igartiburu. RTVE "С‚С‰Р°С‚РµР»СЊРЅРѕ РёР·СѓС‡Р°РµС‚" Р»РёРґРµСЂРѕРІ РіРѕР»РѕСЃРѕРІР°РЅРёСЏ РІ РѕС‚Р±РѕСЂРµ РЅР° Р•РІСЂРѕРІРёРґРµРЅРёРµ. РћРєРѕР»Рѕ 4С… РјРёР»Р»РёРѕРЅРѕРІ РіРѕР»РѕСЃРѕРІ СѓР¶Рµ Р±С‹Р»Рѕ РїРѕРґР°РЅРѕ РІ РїСЂРµРґРІР°СЂРёС‚РµР»СЊРЅРѕРј СЌС‚Р°РїРµ РёСЃРїР°РЅСЃРєРѕРіРѕ РѕС‚Р±РѕСЂР° РЅР° РєРѕРЅРєСѓСЂСЃ. РћР»Р°Р»Р»Р° Р¦РµСЂРЅСѓРґР°, РґРёСЂРµРєС‚РѕСЂ РѕС‚РґРµР»Р° СЂР°Р·РІР»РµРєР°С‚РµР»СЊРЅС‹С… РїСЂРѕРіСЂР°РјРј С‚РµР»РµРєР°РЅР°Р»Р°, РІ Р±РµСЃРµРґРµ СЃ Publico.es РЅРµ РёСЃРєР»СЋС‡РёР»Р°, С‡С‚Рѕ РјРѕРіСѓС‚ Р±С‹С‚СЊ РїСЂРѕРёР·РІРµРґРµРЅС‹ Рё РЅРѕРІС‹Рµ РґРёСЃРєРІР°Р»РёС„РёРєР°С†РёРё. РџРѕ РїСЂРѕРіРЅРѕР·Сѓ, РїСЂРё РѕР±СЉРµРјРµ РІ 300 000 РіРѕР»РѕСЃРѕРІ РІ РґРµРЅСЊ, Рє РјРѕРјРµРЅС‚Сѓ РѕРєРѕРЅС‡Р°РЅРёСЏ РіРѕР»РѕСЃРѕРІР°РЅРёСЏ РІ РїСЏС‚РЅРёС†Сѓ, 5РіРѕ С„РµРІСЂР°Р»СЏ, Р±СѓРґРµС‚ РїРѕРґР°РЅРѕ Р±РѕР»РµРµ 5-6 РјРёР»Р»РёРѕРЅРѕРІ РіРѕР»РѕСЃРѕРІ, С‡С‚Рѕ Р·РЅР°С‡РёС‚РµР»СЊРЅРѕ Р±РѕР»СЊС€Рµ 3.9 РјРёР»Р»РёРѕРЅРѕРІ, РґРѕСЃС‚РёРіРЅСѓС‚С‹С… РІ РїСЂРѕС€Р»РѕРј РіРѕРґСѓ, С‡С‚Рѕ, РїРѕ РјРЅРµРЅРёСЋ Р¦РµСЂРЅСѓРґР°, РіРѕРІРѕСЂРёС‚ Рѕ С‚РѕРј, С‡С‚Рѕ "РїСѓР±Р»РёРєСѓ РїСЂРёРІР»РµРєР»Рѕ РЅРµ С‚РѕР»СЊРєРѕ СѓС‡Р°СЃС‚РёРµ РљР°СЂРјРµР»Рµ, РЅРѕ Рё СЃР°Рј РїСЂРѕС†РµСЃСЃ РѕС‚Р±РѕСЂР° РЅР° РєРѕРЅРєСѓСЂСЃ". РЎРЅСЏС‚РёРµ РёР· С‡РёСЃР»Р° СѓС‡Р°СЃС‚РЅРёРєРѕРІ Р¶СѓСЂРЅР°Р»РёСЃС‚РєРё РљР°СЂРјРµР»Рµ РњР°СЂС‡Р°РЅС‚Рµ, РєРѕС‚РѕСЂР°СЏ РїРѕРґ РёРјРµРЅРµРј "Pop Star Queen" РІРѕР·РіР»Р°РІР»СЏР»Р° РґРѕ 21РіРѕ СЏРЅРІР°СЂСЏ СЃРїРёСЃРєРё Р»РёРґРµСЂРѕРІ - РЅРµ РµРґРёРЅСЃС‚РІРµРЅРЅС‹Р№ СЃРєР°РЅРґР°Р» РІ РѕС‚Р±РѕСЂРµ. РўР°Рє, РЅРµРєРѕС‚РѕСЂС‹Рµ РѕС‚РјРµС‡Р°СЋС‚, С‡С‚Рѕ РєР°РЅРґРёРґР°С‚ Р”Р¶РѕРЅ РљРѕР±СЂР°, РІ РЅР°СЃС‚РѕСЏС‰РµРµ РІСЂРµРјСЏ Р·Р°РЅРёРјР°СЋС‰РёС… РІ РіРѕР»РѕСЃРѕРІР°РЅРёРё С‚СЂРµС‚СЊРµ РјРµСЃС‚Рѕ, СЂР°Р·РјРµС‰Р°Р» РІ РёРЅС‚РµСЂРЅРµС‚Рµ СЂСЏРґ РІРёРґРµРѕ, РїСЂРёР·С‹РІР°СЋС‰РёС… Рє РЅР°СЃРёР»РёСЋ. "РњС‹ РёР·СѓС‡РёР»Рё СЃР°РјСѓ РїРµСЃРЅСЋ РЅР° СЃРѕРѕС‚РІРµС‚СЃС‚РІРёРµ РїСЂР°РІРёР»Р°Рј, Рё, РєР°Рє РЅР°Рј РєР°Р¶РµС‚СЃСЏ РѕРЅР° РёРј РїРѕРєР° РїРѕР»РЅРѕСЃС‚СЊСЋ СѓРґРѕРІР»РµС‚РІРѕСЂСЏРµС‚", РѕР±СЉСЏСЃРЅСЏРµС‚ Р¦РµСЂРЅСѓРґР°, РґРѕР±Р°РІР»СЏСЏ, С‡С‚Рѕ С‚РµР»РµРєР°РЅР°Р» РІРёРґРµР» Рё СЃРїРѕСЂРЅС‹Рµ РІРёРґРµРѕ Рё РІ Р»СЋР±РѕРј СЃР»СѓС‡Р°Рµ РїСЂРѕРґРѕР»Р¶РёС‚ СЂРµР°РіРёСЂРѕРІР°С‚СЊ РЅР° "С‚С‹СЃСЏС‡Рё" Р¶Р°Р»РѕР±, РєРѕС‚РѕСЂС‹Рµ РїСЂРёС…РѕРґСЏС‚ РєР°Р¶РґС‹Р№ РґРµРЅСЊ. РћРЅРё РїСЂРѕРґРѕР»Р¶Р°СЋС‚ РїСЂРѕРІРµСЂСЏС‚СЊ СѓС‡Р°СЃС‚РІСѓСЋС‰РёРµ РїРµСЃРЅРё РЅР° СЃРѕРѕС‚РІРµС‚СЃС‚РІРёСЋ РїСЂР°РІРёР»Сѓ РґР°С‚С‹ РїРµСЂРІРѕР№ РїСѓР±Р»РёС‡РЅРѕР№ РїСЂРµР·РµРЅС‚Р°С†РёРё, РЅРѕ СЃР»СѓС‡Р°Рё СЃ РїР»Р°РіРёР°С‚РѕРј Рё РґСЂСѓРіРёРµ РїРѕРґРѕР±РЅС‹Рµ РјРѕРјРµРЅС‚С‹, РїРѕ РµРµ РјРЅРµРЅРёСЋ, РґРѕРІРѕР»СЊРЅРѕ СЃР»РѕР¶РЅРѕ СЂР°СЃСЃР»РµРґРѕРІР°С‚СЊ. "РќР°С€ СЋСЂРёРґРёС‡РµСЃРєРёР№ РѕС‚РґРµР» РѕС‚РґР°РµС‚ РїСЂРёРѕСЂРёС‚РµС‚ РїСЂРѕРІРµСЂРєР°Рј 15-20 Р»РёРґРµСЂРѕРІ, РїРѕСЃРєРѕР»СЊРєСѓ РјС‹ РЅРµ РјРѕР¶РµРј РїРѕРґРІРµСЂРіРЅСѓС‚СЊ РЅР°СЃ СЂРёСЃРєСѓ РґРёСЃРєРІР°Р»РёС„РёРєР°С†РёРё Р·Р° РЅРµСЃРѕРѕС‚РІРµС‚СЃС‚РІРёРµ РїСЂР°РІРёР»Р°Рј Р•Р’РЎ". РљР°Рє СЃРѕРѕР±С‰Р°РµС‚СЃСЏ, С‡РµС‚С‹СЂРµ РєР°РЅРґРёРґР°С‚Р° СЃР°РјРё СЃРЅСЏР»Рё СЃРІРѕРё РєР°РЅРґРёРґР°С‚СѓСЂС‹: Edu del Prado, La suerte de Agatha, Erika Albero Рё Betirako. Р•Р¶РµРґРЅРµРІРЅРѕ РґРѕРїСѓСЃРєР°СЋС‚СЃСЏ РїРѕ 5 РіРѕР»РѕСЃРѕРІ СЃ РѕРґРЅРѕРіРѕ e-mail, Рё РїРѕ РґР°РЅРЅС‹Рј Р¦РµСЂРЅСѓРґР°, РѕС‚ 30 000 РґРѕ 50 000 РіРѕР»РѕСЃРѕРІ РєР°Р¶РґС‹Р№ РґРµРЅСЊ РїСЂРёР·РЅР°СЋС‚СЃСЏ РЅРµРґРµР№СЃС‚РІРёС‚РµР»СЊРЅС‹РјРё Рё СѓРґР°Р»СЏСЋС‚СЃСЏ СЃРёСЃС‚РµРјРѕР№, РїРѕСЌС‚РѕРјСѓ СЃРµР№С‡Р°СЃ СЂРµР·СѓР»СЊС‚Р°С‚С‹ СЏРІР»СЏСЋС‚СЃСЏ РґРѕСЃС‚РѕРІРµСЂРЅС‹РјРё. Р§С‚Рѕ Р¶Рµ РєР°СЃР°РµС‚СЃСЏ Р·РЅР°С‡РёС‚РµР»СЊРЅРѕРіРѕ СѓРІРµР»РёС‡РµРЅРёСЏ РіРѕР»РѕСЃРѕРІ РЅРµСЃРєРѕР»СЊРєРёРјРё РєР°РЅРґРёРґР°С‚Р°РјРё, РЅР°РїСЂРёРјРµСЂ С‚РµРј Р¶Рµ Р”Р¶РѕРЅРѕРј РљРѕР±СЂРѕР№, РєРѕС‚РѕСЂС‹Р№ РЅР°Р±СЂР°Р» Р±РѕР»РµРµ 183 000 РіРѕР»РѕСЃ РїРѕСЃР»Рµ С‚РѕРіРѕ, РєР°Рє РїРѕР»СѓС‡РёР» РїРѕРґРґРµСЂР¶РєСѓ РѕС‚ РёРЅС‚РµСЂРЅРµС‚ С„РѕСЂСѓРјР° СЃ Р±РѕР»РµРµ С‡РµРј 350 000 С‡Р»РµРЅР°РјРё, РїСЂРµРґСЃС‚Р°РІРёС‚РµР»СЊ RTVE РѕС‚РјРµС‡Р°РµС‚, С‡С‚Рѕ "РґРµР№СЃС‚РІРёС‚РµР»СЊРЅРѕ, РїСЂРѕС…РѕРґСЏС‚ РѕСЂРіР°РЅРёР·РѕРІР°РЅРЅС‹Рµ РєР°РјРїР°РЅРёРё РІ РїРѕРґРґРµСЂР¶РєСѓ С‚РѕРіРѕ РёР»Рё РёРЅРѕРіРѕ РєР°РЅРґРёРґР°С‚Р°, РЅРѕ РјС‹ РЅРёС‡РµРіРѕ РЅРµ РјРѕР¶РµРј СЃ СЌС‚РёРј РїРѕРґРµР»Р°С‚СЊ, РїРѕСЃРєРѕР»СЊРєСѓ РѕРЅРё РЅРµ РЅР°СЂСѓС€Р°СЋС‚ РїСЂР°РІРёР»Р°". РќР°РїСЂРёРјРµСЂ, РІРѕР·РіР»Р°РІР»СЏРµС‚ РіРѕР»РѕСЃРѕРІР°РЅРёРµ СЃРµР№С‡Р°СЃ РіСЂСѓРїРїР° "El Peson Rojo", С‡СЊСЋ РєР°РЅРґРёРґР°С‚СѓСЂСѓ РїРѕРґРґРµСЂР¶РёРІР°РµС‚ СЂР°РґРёРѕ РїСЂРѕРіСЂР°РјРјР° "Anda ya". Р¦РµСЂРЅСѓРґР° РґРѕР±Р°РІР»СЏРµС‚, С‡С‚Рѕ РІ С„РёРЅР°Р»СЊРЅРѕРј РєРѕРЅС†РµСЂС‚Рµ РЅР°СЂСЏРґСѓ СЃРѕ Р·СЂРёС‚РµР»СЏРјРё РєР°РЅРґРёРґР°С‚РѕРІ РѕС†РµРЅРёС‚ Рё РїСЂРѕС„РµСЃСЃРёРѕРЅР°Р»СЊРЅРѕРµ Р¶СЋСЂРё. РћРЅР° Р·Р°РєР»СЋС‡Р°РµС‚, С‡С‚Рѕ С‚РµР»РµРєР°РЅР°Р» РЅРµ РїР»Р°РЅРёСЂСѓРµС‚ РІРЅРѕСЃРёС‚СЊ РєР°РєРёС…-Р»РёР±Рѕ РёР·РјРµРЅРµРЅРёР№ РІ РїСЂРѕС†РµСЃСЃ РѕС‚Р±РѕСЂР°: "РјС‹ РѕС‡РµРЅСЊ СЂР°РґС‹ С‚РѕРјСѓ, РєР°Рє РѕРЅ СЂР°Р±РѕС‚Р°РµС‚, РјС‹ РІРµСЂРёРј РІ С‚Рѕ, С‡С‚Рѕ СЌС‚Рѕ СЃР°РјС‹Р№ Р»СѓС‡С€РёР№ РјРµС‚РѕРґ, Рё Р±РѕР»РµРµ С‚РѕРіРѕ, СЂСЏРґ СЃС‚СЂР°РЅ СѓР¶Рµ РЅР°С‡Р°Р» РµРіРѕ Р·Р° РЅР°РјРё РїРѕРІС‚РѕСЂСЏС‚СЊ". РљР°Рє СЃРѕРѕР±С‰Р°РµС‚ vertele.com, С„РёРЅР°Р» РѕС‚Р±РѕСЂР° СЃРѕСЃС‚РѕРёС‚СЃСЏ 20РіРѕ С„РµРІСЂР°Р»СЏ Рё РµРіРѕ РІРµРґСѓС‰РµР№ СЃС‚Р°РЅРµС‚ РђРЅРЅР° Р�РіР°СЂС‚РёР±СѓСЂСѓ. 24/01 The controversial debates regarding disqualification of the leader of Spanish preselection Karmele Marchante is continuing. 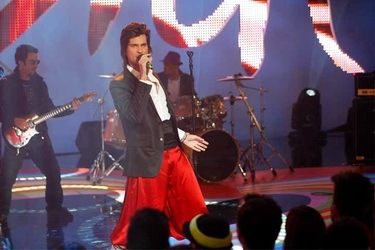 Telenico, the broadcaster behind Pop Star Queen entry has demanded detailed response from RTVE on the grounds of disqualification, but received no explanation. Singer herself said it was "completely unfair". The performer defends her candidacy: "First, I believe in myself, believe that the song whose lyrics I wrote entertains people, I have got a lot of votes, I made a show and audience liked it," she argued. However, in a survey conducted by Telenico, 95% of voters have agreed to the decision of RTVE. Singer meanwhile has declared her interest to run alrernative counter-festival and invited all those expelled from the voting and other supporters join her in a new project, that will be run within frames of her TV show "Salvame". Meanwhile, Coral Segovia is still in the lead in the online voting, but it is also being heavily influenced by fans of Operation Triunfo show. Duet Samuel & Patricia (OT7) are on 3rd place, Lorena (OT5 winner) is 4th, closely followed by band Venus made of Mimi (OT6), Diana (OT7) and Marta from Popstars, on 7th is Fran Dieli (OT4), and then there also are Jose Galisteo (OT5) and Ainhoa Catalapiedra (OT2 winner). Among the leaders also are musicals singer Daniel Diges, ex Eurovision participant Anabel Conde, and two artists promoted by commercial networks: El Penso Rojo (which is also on verge of disqualification) and Noel Soto who is currently 11th. Sadly, from top 20 list compiled by ESCKaz, only Blas Canto still has chances to reach final, being positioned now on 15th place. РЎРєР°РЅРґР°Р», СЃРІСЏР·Р°РЅРЅС‹Р№ СЃ РёСЃРєР»СЋС‡РµРЅРёРµРј РёР· С‡РёСЃР»Р° СѓС‡Р°СЃС‚РЅРёРєРѕРІ Р»РёРґРµСЂР° РіРѕР»РѕСЃРѕРІР°РЅРёСЏ РІ РёСЃРїР°РЅСЃРєРѕРј РѕС‚Р±РѕСЂРµ, РљР°СЂРјРµР»Рµ РњР°СЂС‡Р°РЅС‚Рµ, РїСЂРѕРґРѕР»Р¶Р°РµС‚СЃСЏ. РўРµР»РµРєР°РЅР°Р» РўРµР»РµРЅРёРєРѕ, РїСЂРѕС‚РµР¶РёСЂСѓСЋС‰РёР№ РёСЃРїРѕР»РЅРёС‚РµР»СЊРЅРёС†Сѓ Pop Star Queen, РїРѕС‚СЂРµР±РѕРІР°Р» РґРµС‚Р°Р»СЊРЅРѕРіРѕ РѕР±СЉСЏСЃРЅРµРЅРёСЏ РїСЂРёС‡РёРЅ РґРёСЃРєРІР°Р»РёС„РёРєР°С†РёРё РѕС‚ РѕСЂРіР°РЅРёР·Р°С‚РѕСЂРѕРІ РЅР°С†РёРѕРЅР°Р»СЊРЅРѕРіРѕ РѕС‚Р±РѕСЂР°, РЅРѕ РЅРµ РїРѕР»СѓС‡РёР» РѕС‚РІРµС‚Р°. РЎР°РјР° Р¶Рµ РёСЃРїРѕР»РЅРёС‚РµР»СЊРЅРёС†Р° Р·Р°СЏРІРёР»Р°, С‡С‚Рѕ СЌС‚Рѕ СЂРµС€РµРЅРёРµ Р±С‹Р»Рѕ "Р°Р±СЃРѕР»СЋС‚РЅРѕ РЅРµСЃРїСЂР°РІРµРґР»РёРІС‹РјРё". "РЇ РІРµСЂСЋ РІ СЃРµР±СЏ, РІРµСЂСЋ РІ С‚Рѕ, С‡С‚Рѕ РјРѕСЏ РїРµСЃРЅСЏ, С‚РµРєСЃС‚ Рє РєРѕС‚РѕСЂРѕР№ СЏ РЅР°РїРёСЃР°Р»Р° СЃР°РјР°, РїРѕРЅСЂР°РІРёР»Р°СЃСЊ Р»СЋРґСЏРј, РѕРЅР° СЃРѕР±СЂР°Р»Р° Р·РЅР°С‡РёС‚РµР»СЊРЅРѕРµ РєРѕР»РёС‡РµСЃС‚РІРѕ РіРѕР»РѕСЃРѕРІ, СЏ СЃРґРµР»Р°Р»Р° С€РѕСѓ Рё Р·СЂРёС‚РµР»СЏРј РѕРЅРѕ РїРѕРЅСЂР°РІРёР»РѕСЃСЊ", СЃРїРѕСЂРёС‚ РѕРЅР°. РћРґРЅР°РєРѕ, РІ РѕРїСЂРѕСЃРµ, РїСЂРѕРІРµРґРµРЅРЅС‹Рј РўРµР»РµРЅРёРєРѕ, 95% Р·СЂРёС‚РµР»РµР№ СЃРѕРіР»Р°СЃРёР»РёСЃСЊ СЃ СЂРµС€РµРЅРёРµРј, РїСЂРёРЅСЏС‚С‹Рј С‚РµР»РµРєР°РЅР°Р»РѕРј RTVE. РџРµРІРёС†Р° Р¶Рµ РѕР±СЉСЏРІРёР»Р° Рѕ СЃРІРѕРёС… РїР»Р°РЅР°С… РїСЂРѕРІРµСЃС‚Рё РІ СЂР°РјРєР°С… РїСЂРѕРіСЂР°РјРјС‹ "Salvame" "РєРѕРЅС‚СЂ-С„РµСЃС‚РёРІР°Р»СЊ", Рє СѓС‡Р°СЃС‚РёСЋ РІ РєРѕС‚РѕСЂРѕРј РїСЂРёРіР»Р°СЃРёР»Р° РґСЂСѓРіРёС… РґРёСЃРєРІР°Р»РёС„РёС†РёСЂРѕРІР°РЅРЅС‹С… Р°СЂС‚РёСЃС‚РѕРІ, Р° С‚Р°РєР¶Рµ РґСЂСѓРіРёС… РёСЃРїРѕР»РЅРёС‚РµР»РµР№, РєРѕС‚РѕСЂС‹Рµ РїРѕРґРґРµСЂР¶РёРІР°СЋС‚ РµРµ РїРѕР·РёС†РёСЋ. РўРµРј РІСЂРµРјРµРЅРµРј, РљРѕСЂР°Р» РЎРµРіРѕРІРёСЏ РїСЂРѕРґРѕР»Р¶Р°РµС‚ СѓРґРµСЂР¶РёРІР°С‚СЊ Р»РёРґРµСЂСЃС‚РІРѕ РІ РіРѕР»РѕСЃРѕРІР°РЅРёРё, РЅР° РєРѕС‚РѕСЂРѕРµ РѕРіСЂРѕРјРЅРѕРµ РІР»РёСЏРЅРёРµ РѕРєР°Р·С‹РІР°СЋС‚ РїРѕРєР»РѕРЅРЅРёРєРё С€РѕСѓ "РћРїРµСЂР°С†РёСЏ РўСЂРёСѓРјС„". Р”СѓСЌС‚ РЎР°РјСѓСЌР»СЊ Рё РџР°С‚СЂРёС†РёСЏ (РћРў7) РёРґРµС‚ РЅР° РІС‚РѕСЂРѕРј РјРµСЃС‚Рµ, Р·Р° РЅРёРјРё СЃР»РµРґСѓРµС‚ Р›РѕСЂРµРЅР° (РїРѕР±РµРґРёС‚РµР»СЊРЅРёС†Р° РћРў5), Рё РіСЂСѓРїРїР° Venus (СЃРѕСЃС‚РѕСЏС‰Р°СЏ РёР· РњРёРјРё (РћРў6), Р”РёР°РЅС‹ (РћРў7) Рё РњР°СЂС‚С‹ РёР· С€РѕСѓ Popstars), РЅР° 7Рј РјРµСЃС‚Рµ РёРґРµС‚ Р¤СЂР°РЅ Р”РёРµР»Рё (РћРў4), Р° РґР°Р»РµРµ СЃР»РµРґСѓСЋС‚ РҐРѕСЃРµ Р“Р°Р»РёСЃС‚РµРѕ (РћРў5) Рё РђР№РЅРѕР° РљР°С‚Р°Р»Р°РїСЊРµРґСЂР° (РїРѕР±РµРґРёС‚РµР»СЊРЅРёС†Р° РћРў2). РЎСЂРµРґРё Р»РёРґРµСЂРѕРІ С‚Р°РєР¶Рµ Р°РєС‚РµСЂ РјСЋР·РёРєР»РѕРІ Р”Р°РЅРёРµР»СЊ Р”РёС…РµСЃ, Р±С‹РІС€Р°СЏ РєРѕРЅРєСѓСЂСЃР°РЅС‚РєР° Р•РІСЂРѕРІРёРґРµРЅРёСЏ РђРЅР°Р±РµР»СЊ РљРѕРЅРґРµ Рё РґРІР° РёСЃРїРѕР»РЅРёС‚РµР»СЏ, РїСЂРѕРјРѕСѓС‚РёСЂСѓРµРјС‹Рµ РєРѕРјРјРµСЂС‡РµСЃРєРёРјРё РєР°РЅР°Р»Р°РјРё: El Penso Rojo (РєРѕС‚РѕСЂС‹Рµ С‚Р°РєР¶Рµ РЅР°С…РѕРґСЏС‚СЃСЏ РЅР° РіСЂР°РЅРµ РґРёСЃРєРІР°Р»РёС„РёРєР°С†РёРё) Рё РќРѕРµР»СЊ РЎРѕС‚Рѕ, Р·Р°РЅРёРјР°СЋС‰РёР№ СЃРµР№С‡Р°СЃ 11Рµ РјРµСЃС‚Рѕ. Рљ СЃРѕР¶Р°Р»РµРЅРёСЋ, РёР· С‚РѕРї 20, СЃРѕСЃС‚Р°РІР»РµРЅРЅРѕРіРѕ ESCKaz С‚РѕР»СЊРєРѕ Сѓ Р‘Р»Р°СЃР° РљР°РЅС‚Рѕ СЃРѕС…СЂР°РЅСЏСЋС‚СЃСЏ С€Р°РЅСЃС‹ РЅР° РІС‹С…РѕРґ РІ С„РёРЅР°Р» - РѕРЅ РёРґРµС‚ 15Рј. As usual, ESCKaz presents our own Top 20 of the Spanish preselection. Experts of our site have carefully listened to the all 313 entries on offer in "Tu pais te necesita" and have compiled their own and very different top 20 judging only by music quality of entries, not taking in consideration their Eurovision chances. Songs were listened to anonymously, experts were not aware about the names of performers. РљР°Рє РѕР±С‹С‡РЅРѕ, ESCKaz РїСЂРµРґСЃС‚Р°РІР»СЏРµС‚ СЃРѕР±СЃС‚РІРµРЅРЅСѓСЋ С‚РѕРї 20 Р�СЃРїР°РЅСЃРєРѕРіРѕ РѕС‚Р±РѕСЂР°. Р­РєСЃРїРµСЂС‚С‹ РЅР°С€РµРіРѕ СЃР°Р№С‚Р° С‚С‰Р°С‚РµР»СЊРЅРѕ РїСЂРѕСЃР»СѓС€Р°Р»Рё РІСЃРµ 313 РїРµСЃРµРЅ, РїСЂРёРЅРёРјР°СЋС‰РёС… СѓС‡Р°СЃС‚РёРµ РІ "Tu pais te necesita" Рё СЃРѕСЃС‚Р°РІРёР»Рё СЃРІРѕСЋ СЃРѕР±СЃС‚РІРµРЅРЅСѓСЋ, РѕС‚Р»РёС‡Р°СЋС‰СѓСЋСЃСЏ РѕС‚ РѕС„РёС†РёР°Р»СЊРЅРѕР№, РґРІР°РґС†Р°С‚РєСѓ, РїСЂРёРЅРёРјР°СЏ РІРѕ РІРЅРёРјР°РЅРёСЏ С‚РѕР»СЊРєРѕ РјСѓР·С‹РєР°Р»СЊРЅРѕРµ РєР°С‡РµСЃС‚РІРѕ РїРµСЃРµРЅ, Рё РЅРµ СѓС‡РёС‚С‹РІР°СЏ РёС… РїРѕС‚РµРЅС†РёР°Р» РЅР° Р•РІСЂРѕРІРёРґРµРЅРёРё. РџРµСЃРЅРё РїСЂРѕСЃР»СѓС€РёРІР°Р»РёСЃСЊ Р°РЅРѕРЅРёРјРЅРѕ, СЌРєСЃРїРµСЂС‚С‹ РЅРµ Р·РЅР°Р»Рё РёРјРµРЅ РёС… РёСЃРїРѕР»РЅРёС‚РµР»РµР№. 21/01 Pop Star Queen, Chimo Bayo, Kejio and Juan Losada's entries are disqualified by Spanish broadcaster from the preselection. Leader of the online voting Karmele Marchante has suffered disqualification from the show due to the several breaches of the rules: her song has been aired on commercial broadcaster with TVE posessing exclusive rights to air national final entries; it has been accused in being plagiarism of the several older songs; parts of it have been aired prior to October 1st; it's lyrics also have been accused in having commercial messages. Taking this rather doubtful decision, the channel has still left in the race other entries proven to be publically presented before October 1st, among them current runner-up El Pezon Rojo and Toni Salazar from Azucar Moreno. Entry of Coral is in the lead now. Pop Star Queen, Chimo Bayo, Kejio Рё Juan Losada РґРёСЃРєРІР°Р»РёС„РёС†РёСЂРѕРІР°РЅС‹ СЃ РЅР°С†РёРѕРЅР°Р»СЊРЅРѕРіРѕ РѕС‚Р±РѕСЂР°. Р›РёРґРµСЂ РѕРЅР»Р°Р№РЅ-РіРѕР»РѕСЃРѕРІР°РЅРёСЏ РљР°СЂРјРµР»Рµ РњР°СЂС‡Р°РЅС‚Рµ Р±С‹Р»Р° СЃРЅСЏС‚Р° СЃ РЅР°С†РёРѕРЅР°Р»СЊРЅРѕРіРѕ РѕС‚Р±РѕСЂР° Р·Р° СЂР°Р·Р»РёС‡РЅС‹Рµ РЅР°СЂСѓС€РµРЅРёСЏ РµРіРѕ РїСЂР°РІРёР»: РµРµ РїРµСЃРЅСЏ Р±С‹Р»Р° РїРѕРєР°Р·Р°РЅР° РєРѕРјРјРµСЂС‡РµСЃРєРѕР№ С‚РµР»РµРєРѕРјРїР°РЅРёРµР№ РїСЂРё С‚РѕРј, С‡С‚Рѕ РІСЃРµ РїСЂР°РІР° РЅР° С‚СЂР°РЅСЃР»СЏС†РёСЋ РїРµСЃРµРЅ РЅР°С†РёРѕРЅР°Р»СЊРЅРѕРіРѕ РѕС‚Р±РѕСЂР° РїСЂРёРЅР°РґР»РµР¶Р°С‚ РєР°РЅР°Р»Сѓ TVE; РѕРЅР° Р±С‹Р»Р° РѕР±РІРёРЅРµРЅР° РІ РїР»Р°РіРёР°С‚Рµ СЂСЏРґР° СЃС‚Р°СЂС‹С… РїРµСЃРµРЅ; С‡Р°СЃС‚Рё РµРµ С‚СЂР°РЅСЃР»РёСЂРѕРІР°Р»РёСЃСЊ РґРѕ 1РіРѕ РѕРєС‚СЏР±СЂСЏ; РµРµ С‚РµРєСЃС‚ С‚Р°РєР¶Рµ Р±С‹Р» РѕР±РІРёРЅРµРЅ, РєР°Рє СЃРѕРґРµСЂР¶Р°С‰РёР№ РєРѕРјРјРµСЂС‡РµСЃРєРёРµ РїРѕСЃР»Р°РЅРёСЏ. РџСЂРёРЅРёРјР°СЏ СЌС‚Рѕ, РґРѕРІРѕР»СЊРЅРѕ СЃРїРѕСЂРЅРѕРµ СЂРµС€РµРЅРёРµ, С‚РµР»РµРєР°РЅР°Р» РѕСЃС‚Р°РІРёР» РІ СЃРїРёСЃРєРµ РґСЂСѓРіРёРµ РїРµСЃРЅРё, РєРѕС‚РѕСЂС‹Рµ, РєР°Рє Р±С‹Р»Рѕ РґРѕРєР°Р·Р°РЅРѕ, С‚Р°РєР¶Рµ Р±С‹Р»Рё РїСЂРµР·РµРЅС‚РѕРІР°РЅС‹ РїСѓР±Р»РёС‡РЅРѕ РґРѕ 1РіРѕ РѕРєС‚СЏР±СЂСЏ: РІ С‡Р°СЃС‚РЅРѕСЃС‚Рё, РёРґСѓС‰РёС… РЅР° 2Рј РјРµСЃС‚Рµ El Pezon Rojo Рё РўРѕРЅРё РЎР°Р»Р°Р·Р°СЂ РёР· Azucar Moreno. РџРµСЃРЅСЏ РљРѕСЂР°Р» РІ РЅР°СЃС‚РѕСЏС‰РµРµ РІСЂРµРјСЏ РІРѕР·РіР»Р°РІР»СЏРµС‚ СЂРµР№С‚РёРЅРі. 18/01 Early favourites in Spanish vote are joke act Popstar Queen (Karmele Marchante) with "Soy un Tsunami" and fans favourite Coral with song by T.G:son, A.Rickstrand and T.Sanchez-Ohlsson "En Una Vida". They are followed by tight group that includes OT finalists Samuel and Patricia, Venus, musicals actor Daniel Diges, El Pezon Rojo, Lorena, two more OT participants Joze Galisteo, Ainhoa and Anabel Conde. In the next few days, as usual, ESCKaz will present you our list of favourites. Meanwhile, there seem to be few disqualifications coming, as Eurovision-Spain has discovered several songs breaking preselection rules, among them current top 10 placer El Pezon Rojo, Toni Salazar from Azucar Moreno (ESC 1990), Juan Losada, Keijo, Chimo Bayo. Р Р°РЅРЅРёРµ С„Р°РІРѕСЂРёС‚С‹ РІ РіРѕР»РѕСЃРѕРІР°РЅРёРё Р�СЃРїР°РЅРёРё - СЌС‚Рѕ СЋРјРѕСЂРёСЃС‚РёС‡РµСЃРєРёР№ Р°РєС‚ Popstar Queen (Karmele Marchante) СЃ РїРµСЃРЅРµР№ "Soy un Tsunami" Рё С„Р°РІРѕСЂРёС‚ С„Р°РЅР°С‚РѕРІ Coral СЃ "En Una Vida", РєРѕС‚РѕСЂСѓСЋ РЅР°РїРёСЃР°Р»Рё T.G:son, A.Rickstrand Рё T.Sanchez-Ohlsson. Р—Р° РЅРёРјРё СЃР»РµРґСѓРµС‚ РіСЂСѓРїРїР°, РІ РєРѕС‚РѕСЂСѓСЋ РІС…РѕРґСЏС‚ С„РёРЅР°Р»РёСЃС‚С‹ РћРў Samuel Рё Patricia, Venus, Р°РєС‚РµСЂ РјСЋР·РёРєР»РѕРІ Daniel Diges, El Pezon Rojo, Lorena, РµС‰Рµ РґРІР° СѓС‡Р°СЃС‚РЅРёРєР° РћРў Jose Galisteo Рё Ainhoa Рё Anabel Conde. Р’ Р±Р»РёР¶Р°Р№С€РёРµ РЅРµСЃРєРѕР»СЊРєРѕ РґРЅРµР№ ESCKaz РѕРїСѓР±Р»РёРєСѓРµС‚ СЃРѕР±СЃС‚РІРµРЅРЅС‹Р№ СЂРµР№С‚РёРЅРі РєР°РЅРґРёРґР°С‚РѕРІ. РўРµРј РІСЂРµРјРµРЅРµРј, РїРѕС…РѕР¶Рµ, С‡С‚Рѕ РІ РєРѕРЅРєСѓСЂСЃРµ РІСЃРєРѕСЂРµ СЃРѕСЃС‚РѕСЏС‚СЃСЏ РЅРµСЃРєРѕР»СЊРєРѕ РґРёСЃРєРІР°Р»РёС„РёРєР°С†РёР№, РїРѕСЃРєРѕР»СЊРєСѓ, РєР°Рє СЃРѕРѕР±С‰Р°РµС‚ Eurovision-Spain, Сѓ СЂСЏРґР° РёСЃРїРѕР»РЅРёС‚РµР»РµР№ Р·Р°РјРµС‡РµРЅС‹ РЅР°СЂСѓС€РµРЅРёСЏ РїСЂР°РІРёР» РєРѕРЅРєСѓСЂСЃР°, СЃСЂРµРґРё РЅРёС… РѕРґРЅРё РёР· Р»РёРґРµСЂРѕРІ El Pezon Rojo, Toni Salazar РёР· Azucar Moreno (Р•РІСЂРѕРІРёРґРµРЅРёРµ 1990), Juan Losada, Keijo, Chimo Bayo. 18/01 313 nominations have been approved by Spanish broadcaster TVE and published on it's official site for the online voting in "Tu pais te necesita!" preselection. On the tab "Candidates AZ" you can search the candidates in alphabetical order. Each artist has a special page on the TVE Eurovision website, where users can listen to his song, view a video presentation and vote for him. Each candidate's page includes an application that allows the user to distribute and support their favorite candidates on social networks like Facebook, Twitter or MySpace. It will also have a module where you will be able to leave your comments. Voting will remain open until 12.00 on Friday, February 5th. Each user will be able to submit up to 5 votes from a single valid e-mail address. For several times a day you can look at the page of "Top Rated" where 10 artists, receiving most votes will be ranked. The votes are not counted in real time to ensure that each and every one of them are valid. As in previous years, each and every one of the votes is checked and recorded to ensure transparency. In any case, like in previous years, TVE has the right to deduct invalid votes made with robots or scripts and to eliminate in any moment any candidate that's not fulfilling the rules. Top 10 artists or groups will battle in a single night final live on TVE with winner chosen by mix of jury and televoting. Among the candidates as TVE press-release highlight are Anabel Conde and Toni Salazar, who have already participated in Eurovision Song Contest, as well as known to viewers singers Lorena, Ainhoa, Alex Casademunt, Fran Dieli or the duet of Samuel and Patricia, participants of various music contests. Added to them are veterans of Eurovision preselection, such as Coral, Arkaitz, Virginia or Bizarre, along with some new voices, such as for example actor of musicals Daniel Diges, or presenters of RNE "Treintaitanto". By provinces, most candidates come from Madrid and Barcelona, followed by Valencia, Las Palmas and Alicante. "Many predicted that this year's preselection will not make a noise like of Chiki Chiki or a cat fight between Melody and Soraya like last year" writes Mauro Canut on official TVE blog. "It is impossible to tell, but the fact is that this selection process is a much more intense than the others. No less than two media groups of the important ones have submitted a candidate (Karmele and El Pezon Rojo). We don't know for what, but it's a great satisfaction to see our competitors driving their spectators (on prime time!) to visit our website. We've also received the nomination of an Internet phenomenon (Brody), a true Tuenti and other social networks star, whose video generates more than one million hits in a month, a pity that the lyrics were offensive and didn't fulfill EBU's rules. I say it's a pity cause it would have been an interesting sociological study to know who would have mobilize more people: television, radio or social networks. It seems that for them music is the least important thing and what it's important is to be an smartass. OK, but it's especially hurtful in the case of a music radio station (Los 40, backing El Pezon Rojo) that could have saved this support for a 'true' music group. Then there's the group of 'triunfitos': Eurovision is a port in a storm for many of them after realizing that it's very cold outside the academy. We've got the group of 'Call TV' celebrities: Malena, Sonia Monroy, Two Yupa among others. Let them come cause they bring salt and pepper. The group of artists who have had a real music career (without OT and tabloids) and who nowadays are in an unlucky spell: Toni from Azucar Moreno, Noel Soto, Rebeca, Anabel Conde, Edu del Prado and Chimo Bayo! We've got, of course, many freaks, for example Dantes (who also is a composer with several gold records and number one chart hits behind him), Antonio El Gato (already a classic), Pichichi Musical etc. Some others followed the path of Chiki Chike and we have names like Cheche, Chinchilla, Gusanito, Nigo Nigo or Guyu Guyu. And finally we've got the Eurovision fan-singers, who repeat their attempts every year, the ones who love Eurovision: Arkaitz, Isi, Vicente Casal, Iko de la Llillo, Bizarre, Rebeca, Coral... and a long list that the eurofans perfectly know. Let's hope this is the year one of them finally fullfills their dream. And of course, a lot of people who submitts a song for the first time. Thank you very much for all of you and good luck!" 313 Р·Р°СЏРІРѕРє Р±С‹Р»Рё РѕРґРѕР±СЂРµРЅС‹ РёСЃРїР°РЅСЃРєРёРј С‚РµР»РµРєР°РЅР°Р»РѕРј TVE Рё СЂР°Р·РјРµС‰РµРЅС‹ РЅР° РµРіРѕ РѕС„РёС†РёР°Р»СЊРЅРѕРј СЃР°Р№С‚Рµ РґР»СЏ РѕРЅР»Р°Р№РЅ РіРѕР»РѕСЃРѕРІР°РЅРёСЏ РІ РѕС‚Р±РѕСЂРµ "Р’Р°С€Р° СЃС‚СЂР°РЅР° РЅСѓР¶РґР°РµС‚СЃСЏ РІ РІР°СЃ". РќР° РІРєР»Р°РґРєРµ "РљР°РЅРґРёРґР°С‚С‹ РѕС‚ A РґРѕ Z" РІС‹ РјРѕР¶РµС‚Рµ РЅР°Р№С‚Рё СЃРїРёСЃРєРё РІСЃРµС… РєР°РЅРґРёРґР°С‚РѕРІ РІ Р°Р»С„Р°РІРёС‚РЅРѕРј РїРѕСЂСЏРґРєРµ. РЈ РєР°Р¶РґРѕРіРѕ Р°СЂС‚РёСЃС‚Р° РµСЃС‚СЊ СЃРІРѕСЏ СЃС‚СЂР°РЅРёС†Р° РЅР° СЃР°Р№С‚Рµ TVE, РіРґРµ РїРѕР»СЊР·РѕРІР°С‚РµР»Рё РјРѕРіСѓС‚ РїСЂРѕСЃР»СѓС€Р°С‚СЊ РµРіРѕ РїРµСЃРЅСЋ, РїСЂРѕСЃРјРѕС‚СЂРµС‚СЊ РІРёРґРµРѕ РїСЂРµР·РµРЅС‚Р°С†РёСЋ Рё РѕС‚РґР°С‚СЊ Р·Р° РЅРµРіРѕ СЃРІРѕР№ РіРѕР»РѕСЃ. РќР° СЃС‚СЂР°РЅРёС†Рµ РєР°Р¶РґРѕРіРѕ РёР· РєР°РЅРґРёРґР°С‚РѕРІ РµСЃС‚СЊ РїСЂРёР»РѕР¶РµРЅРёРµ, РїРѕР·РІРѕР»СЏСЋС‰РµРµ РїРѕР»СЊР·РѕРІР°С‚РµР»СЏРј СЂР°СЃРїСЂРѕСЃС‚СЂР°РЅСЏС‚СЊ РёРЅС„РѕСЂРјР°С†РёСЋ Рё РїРѕРґРґРµСЂР¶РёРІР°С‚СЊ РїРѕР»СЋР±РёРІС€РёС…СЃСЏ РєР°РЅРґРёРґР°С‚РѕРІ РІ СЃРѕС†РёР°Р»СЊРЅС‹С… СЃРµС‚СЏС…, С‚Р°РєРёС…, РЅР°РїСЂРёРјРµСЂ, РєР°Рє Facebook РёР»Рё Twitter. РўР°Рј Р¶Рµ Р±СѓРґРµС‚ СЂР°Р·РјРµС‰РµРЅ РјРѕРґСѓР»СЊ, РїРѕР·РІРѕР»СЏСЋС‰РёР№ РѕСЃС‚Р°РІР»СЏС‚СЊ РІР°С€Рё РєРѕРјРјРµРЅС‚Р°СЂРёРё. Р“РѕР»РѕСЃРѕРІР°РЅРёРµ Р±СѓРґРµС‚ РѕС‚РєСЂС‹С‚Рѕ РґРѕ 14.00 РњРѕСЃРєРІС‹ РїСЏС‚РЅРёС†С‹, 5РіРѕ С„РµРІСЂР°Р»СЏ. РљР°Р¶РґС‹Р№ РїРѕСЃРµС‚РёС‚РµР»СЊ СЃРјРѕР¶РµС‚ РїРѕРґР°С‚СЊ РґРѕ 5 РіРѕР»РѕСЃРѕРІ РµР¶РµРґРЅРµРІРЅРѕ СЃ РѕРґРЅРѕРіРѕ РґРµР№СЃС‚РІСѓСЋС‰РµРіРѕ Р°РґСЂРµСЃР° СЌР»РµРєС‚СЂРѕРЅРЅРѕР№ РїРѕС‡С‚С‹. РќРµСЃРєРѕР»СЊРєРѕ СЂР°Р· РІ РґРµРЅСЊ РІС‹ РјРѕР¶РµС‚Рµ СЃРІРµСЂСЏС‚СЊСЃСЏ СЃРѕ РІРєР»Р°РґРєРѕР№ "Р›РёРґРµСЂС‹", РіРґРµ Р±СѓРґСѓС‚ СѓРєР°Р·Р°РЅС‹ 10 Р°СЂС‚РёСЃС‚РѕРІ, РЅР°Р±СЂР°РІС€РёС… РЅР° РґР°РЅРЅС‹Р№ РјРѕРјРµРЅС‚ РЅР°РёР±РѕР»СЊС€РµРµ РєРѕР»РёС‡РµСЃС‚РІРѕ РіРѕР»РѕСЃРѕРІ. Р“РѕР»РѕСЃР° РЅРµ СЃС‡РёС‚Р°СЋС‚СЃСЏ РІ СЂРµР°Р»СЊРЅРѕРј РІСЂРµРјРµРЅРё, Р° РїСЂРѕС…РѕРґСЏС‚ РїСЂРѕРІРµСЂРєСѓ РґР»СЏ РѕР±РµСЃРїРµС‡РµРЅРёСЏ РїСЂРѕР·СЂР°С‡РЅРѕСЃС‚Рё РїСЂРѕС†РµСЃСЃР° РѕС‚Р±РѕСЂР°. Р’ Р»СЋР±РѕРј СЃР»СѓС‡Р°Рµ, РєР°Рє Рё РІ РїСЂРѕС€Р»С‹Рµ РіРѕРґС‹, TVE РѕСЃС‚Р°РІР»СЏРµС‚ Р·Р° СЃРѕР±РѕР№ РїСЂР°РІРѕ РІС‹С‡РµСЃС‚СЊ РіРѕР»РѕСЃР°, "РЅР°РєСЂСѓС‡РµРЅРЅС‹Рµ" СЂРѕР±РѕС‚Р°РјРё РёР»Рё СЃРєСЂРёРїС‚Р°РјРё Рё РґРёСЃРєРІР°Р»РёС„РёС†РёСЂРѕРІР°С‚СЊ РєР°РЅРґРёРґР°С‚РѕРІ, РЅРµ СѓРґРѕРІР»РµС‚РІРѕСЂСЏСЋС‰РёС… РїСЂР°РІРёР»Р°Рј РѕС‚Р±РѕСЂР°. Р›СѓС‡С€РёРµ 10 РёСЃРїРѕР»РЅРёС‚РµР»РµР№ Рё РіСЂСѓРїРї СЃСЂР°Р·СЏС‚СЃСЏ РІ РЅР°С†РёРѕРЅР°Р»СЊРЅРѕРј С„РёРЅР°Р»Рµ РІ РїСЂСЏРјРѕРј СЌС„РёСЂРµ TVE, РіРґРµ РїРѕР±РµРґРёС‚РµР»СЊ Р±СѓРґРµС‚ РІС‹Р±СЂР°РЅ СЃРјРµСЃСЊСЋ С‚РµР»РµРіРѕР»РѕСЃРѕРІР°РЅРёСЏ Рё РіРѕР»РѕСЃРѕРІР°РЅРёСЏ Р¶СЋСЂРё. РљР°Рє СЃРѕРѕР±С‰Р°РµС‚ РїСЂРµСЃСЃ-СЂРµР»РёР· С‚РµР»РµРєР°РЅР°Р»Р°, СЃСЂРµРґРё РєР°РЅРґРёРґР°С‚РѕРІ РµСЃС‚СЊ Р±С‹РІС€РёРµ СѓС‡Р°СЃС‚РЅРёРєРё Р•РІСЂРѕРІРёРґРµРЅРёСЏ Anabel Conde Рё Toni Salazar, РёР·РІРµСЃС‚РЅС‹Рµ Р·СЂРёС‚РµР»СЏРј Lorena, Ainhoa, Alex Casademunt, Fran Dieli РёР»Рё РґСѓСЌС‚ Samuel Рё Patricia, СѓС‡Р°СЃС‚РЅРёРєРё СЂР°Р·Р»РёС‡РЅС‹С… РјСѓР·С‹РєР°Р»СЊРЅС‹С… РєРѕРЅРєСѓСЂСЃРѕРІ. РџРѕРјРёРјРѕ РЅРёС… РІ РѕС‚Р±РѕСЂРµ СЃРЅРѕРІР° РїСЂРёРЅРёРјР°СЋС‚ СѓС‡Р°СЃС‚РёРµ РІРµС‚РµСЂР°РЅС‹ РѕС‚Р±РѕСЂРѕРІ РЅР° Р•РІСЂРѕРІРёРґРµРЅРёРµ Coral, Arkaitz, Virginia Рё Bizarre, Р° С‚Р°РєР¶Рµ РЅРѕРІС‹Рµ РіРѕР»РѕСЃР°, СЃСЂРµРґРё РєРѕС‚РѕСЂС‹С…, РЅР°РїСЂРёРјРµСЂ Р°РєС‚РµСЂ РјСЋР·РёРєР»РѕРІ Daniel Diges, РёР»Рё РІРµРґСѓС‰РёРµ RNE "Treintaitanto". РџРѕ РїСЂРѕРІРёРЅС†РёСЏ, Р±РѕР»СЊС€РёРЅСЃС‚РІРѕ РєР°РЅРґРёРґР°С‚РѕРІ РЅРѕРјРёРЅРёСЂРѕРІР°РЅРѕ РњР°РґСЂРёРґРѕРј Рё Р‘Р°СЂСЃРµР»РѕРЅРѕР№, Р·Р° РєРѕС‚РѕСЂС‹РјРё СЃР»РµРґСѓСЋС‚ Р’Р°Р»РµРЅСЃРёСЏ, Р›Р°СЃ РџР°Р»РјР°СЃ Рё РђР»РёРєР°РЅС‚Рµ. "РњРЅРѕРіРёРµ РїСЂРµРґСЃРєР°Р·С‹РІР°Р»Рё, С‡С‚Рѕ РѕС‚Р±РѕСЂ СЌС‚РѕРіРѕ РіРѕРґР° РЅРµ Р±СѓРґРµС‚ С‚Р°РєРёРј С€СѓРјРЅС‹Рј РєР°Рє РІ СЃР»СѓС‡Р°Рµ СЃ Chiki Chiki, РёР»Рё СЃСЂР°Р¶РµРЅРёРµ РјРµР¶РґСѓ РґРІСѓРјСЏ РґРёРІР°РјРё Melody Рё Soraya РєР°Рє РІ РїСЂРѕС€Р»РѕРј РіРѕРґСѓ", РїРёС€РµС‚ РњР°СѓСЂРѕ РљР°РЅСѓС‚ РЅР° РѕС„РёС†РёР°Р»СЊРЅРѕРј Р±Р»РѕРіРµ TVE. "РЎР»РѕР¶РЅРѕ РїСЂРµРґСЃРєР°Р·Р°С‚СЊ, РЅРѕ С‚Рѕ, С‡С‚Рѕ СЌС‚РѕС‚ РѕС‚Р±РѕСЂ Р±СѓРґРµС‚ Р±РѕР»РµРµ РЅР°РїСЂСЏР¶РµРЅРЅС‹Рј, С‡РµРј РїСЂРѕС€Р»С‹Рµ - СЌС‚Рѕ С„Р°РєС‚. РќРµ РјРµРЅРµРµ РґРІСѓС… РєСЂСѓРїРЅС‹С… РЎРњР� РІС‹СЃС‚Р°РІРёР»Рё СЃРІРѕРёС… РєР°РЅРґРёРґР°С‚РѕРІ (Karmele Рё El Pezon Rojo). РњС‹ РЅРµ Р·РЅР°РµРј Р·Р°РµРј РѕРЅРё СЌС‚Рѕ СЃРґРµР»Р°Р»Рё, РЅРѕ СЌС‚Рѕ Р±РѕР»СЊС€РѕРµ СѓРґРѕРІРѕР»СЊСЃС‚РІРёРµ РґР»СЏ РЅР°СЃ, СЃРјРѕС‚СЂРµС‚СЊ РєР°Рє РєРѕРЅРєСѓСЂРµРЅС‚С‹ РїСЂРёР·С‹РІР°СЋС‚ РІ РїСЂР°Р№Рј С‚Р°Р№Рј СЃРІРѕРёС… С‚РµР»РµР·СЂРёС‚РµР»РµР№ РїРѕСЃРµС‰Р°С‚СЊ РЅР°С€ СЃР°Р№С‚! РњС‹ С‚Р°РєР¶Рµ РїРѕР»СѓС‡РёР»Рё РЅРѕРјРёРЅР°С†РёСЋ РѕС‚ РёРЅС‚РµСЂРЅРµС‚-С„РµРЅРѕРјРµРЅР°, РЅР°СЃС‚РѕСЏС‰РµР№ Р·РІРµР·РґС‹ СЃРѕС†РёР°Р»СЊРЅС‹С… СЃРµС‚РµР№, С‡СЊРµ РІРёРґРµРѕ СЃРјРѕС‚СЂСЏС‚ РїРѕ РјРёР»Р»РёРѕРЅСѓ С‡РµР»РѕРІРµРє РµР¶РµРјРµСЃСЏС‡РЅРѕ (Brody), Рє СЃРѕР¶Р°Р»РµРЅРёСЋ РµРіРѕ РїРµСЃРЅСЏ Р±С‹Р»Р° РЅРµС†РµРЅР·СѓСЂРЅРѕР№ Рё РЅР°СЂСѓС€Р°Р»Р° С‚РµРј СЃР°РјС‹Рј РїСЂР°РІРёР»Р° Р•Р’РЎ. Рљ СЃРѕР¶Р°Р»РµРЅРёСЋ, РїРѕС‚РѕРјСѓ С‡С‚Рѕ Р±С‹Р»Рѕ Р±С‹ РёРЅС‚РµСЂРµСЃРЅРѕ РїСЂРѕРІРµСЃС‚Рё СЃРѕС†РёРѕР»РѕРіРёС‡РµСЃРєРѕРµ РёСЃСЃР»РµРґРѕРІР°РЅРёРµ, РєС‚Рѕ Р±С‹ РјРѕРі РјРѕР±РёР»РёР·РѕРІР°С‚СЊ Р±РѕР»СЊС€Рµ РіРѕР»РѕСЃРѕРІ - С‚РµР»РµРІРёРґРµРЅРёРµ, СЂР°РґРёРѕ РёР»Рё СЃРѕС†РёР°Р»СЊРЅС‹Рµ СЃРµС‚Рё. РџРѕС…РѕР¶Рµ, С‡С‚Рѕ РґР»СЏ РЅРёС… РјСѓР·С‹РєР° - СЌС‚Рѕ РЅР°РёРјРµРЅРµРµ РІР°Р¶РЅР°СЏ РІРµС‰СЊ. РћСЃРѕР±РµРЅРЅРѕ РїРµС‡Р°Р»СЊРЅРѕ СЌС‚Рѕ РІ СЃР»СѓС‡Р°Рµ СЃ СЂР°РґРёРѕСЃС‚Р°РЅС†РёРµР№ (Los 40, РєРѕС‚РѕСЂР°СЏ РїРѕРґРґРµСЂР¶РёРІР°РµС‚ El Pezon Rojo), РєРѕС‚РѕСЂР°СЏ РјРѕРіР»Р° Р±С‹ РёСЃРїРѕР»СЊР·РѕРІР°С‚СЊ СЌС‚Сѓ РїРѕРґРґРµСЂР¶РєСѓ РґР»СЏ РЅР°СЃС‚РѕСЏС‰РµР№ РјСѓР·С‹РєР°Р»СЊРЅРѕР№ РіСЂСѓРїРїС‹. РўР°РєР¶Рµ РІ РєРѕРЅРєСѓСЂСЃРµ Р·Р°СЏРІР»РµРЅС‹ СЂСЏРґ Р±С‹РІС€РёС… "С„Р°Р±СЂРёРєР°РЅС‚РѕРІ", РґР»СЏ РєРѕС‚РѕСЂС‹С… Р•РІСЂРѕРІРёРґРµРЅРёРµ РѕРєР°Р·Р°Р»РѕСЃСЊ РїРѕСЂС‚РѕРј РІ С€С‚РѕСЂРјРѕРІРѕРј РјРѕСЂРµ, РїРѕСЃР»Рµ С‚РѕРіРѕ, РєР°Рє РѕРЅРё РїРѕРЅСЏР»Рё, С‡С‚Рѕ Р·Р° РїСЂРµРґРµР»Р°РјРё СЃС‚РµРЅ Р¤Р°Р±СЂРёРєРё РґРѕРІРѕР»СЊРЅРѕ РїСЂРѕС…Р»Р°РґРЅРѕ. Р’ РєРѕРЅРєСѓСЂСЃРµ СѓС‡Р°СЃС‚РІСѓСЋС‚ Рё Р·РІРµР·РґС‹ "Call TV" Malena, Sonia Monroy, Two Yupa Рё РґСЂСѓРіРёРµ. Р“СЂСѓРїРїР° Р°СЂС‚РёСЃС‚РѕРІ Сѓ РєРѕС‚РѕСЂС‹С… РµСЃС‚СЊ РЅР°СЃС‚РѕСЏС‰Р°СЏ РјСѓР·С‹РєР°Р»СЊРЅР°СЏ РєР°СЂСЊРµСЂР° (РїРѕРјРёРјРѕ РћРў Рё С‚Р°Р±Р»РѕРёРґРѕРІ) Рё РєРѕС‚РѕСЂС‹Рµ СЃРµР№С‡Р°СЃ РЅРµСЃРєРѕР»СЊРєРѕ Р·Р°Р±С‹С‚С‹: Toni РёР· Azucar Moreno, Noel Soto, Rebeca, Anabel Conde, Edu del Prado Рё Chimo Bayo! РљРѕРЅРµС‡РЅРѕ Р¶Рµ, РЅРµ РѕР±РѕС€Р»РѕСЃСЊ Рё Р±РµР· С„СЂРёРєРѕРІ, РЅР°РїСЂРёРјРµСЂ Dantes (РєРѕС‚РѕСЂС‹Р№ С‚Р°РєР¶Рµ СЏРІР»СЏРµС‚СЃСЏ РєРѕРјРїРѕР·РёС‚РѕСЂРѕРј СЃ РЅРµСЃРєРѕР»СЊРєРёРјРё Р·РѕР»РѕС‚С‹РјРё РґРёСЃРєР°РјРё Рё С‡Р°СЂС‚РѕРІС‹РјРё С…РёС‚Р°РјРё), Antonio El Gato (СѓР¶Рµ СЃС‚Р°РІС€Р№ РєР»Р°СЃСЃРёРєРѕР№), Pichichi Musical Рё РґСЂ. РќРµРєРѕС‚РѕСЂС‹Рµ РїРѕРїСЂРѕР±РѕРІР°Р»Рё РїРѕР№С‚Рё РїРѕ РїСѓС‚Рё Chiki Chiki Рё РїРѕСЌС‚РѕРјСѓ РІ РєРѕРЅРєСѓСЂСЃРµ РїРѕСЏРІРёР»РёСЃСЊ Cheche, Chinchilla, Gusanito, Nigo Nigo Рё Guyu Guyu. Р� РЅР°РєРѕРЅРµС†, РёСЃРїРѕР»РЅРёС‚РµР»Рё, РєРѕС‚РѕСЂС‹Рµ РїРѕРІС‚РѕСЂСЏСЋС‚ СЃРІРѕРё РїРѕРїС‹С‚РєРё РєР°Р¶РґС‹Р№ РіРѕРґ, РїРѕС‚РѕРјСѓ С‡С‚Рѕ СЃР°РјРё СЏРІР»СЏСЋС‚СЃСЏ С„Р°РЅР°С‚Р°РјРё Р•РІСЂРѕРІРёРґРµРЅРёСЏ: Arkaitz, Isi, Vicente Casal, Iko de la Llillo, Bizarre, Rebeca, Coral... РґР»РёРЅРЅС‹Р№ СЃРїРёСЃРѕРє, СЃ РєРѕС‚РѕСЂС‹Рј РµРІСЂРѕС„Р°РЅС‹ РЅРµСЃРѕРјРЅРµРЅРЅРѕ Р·РЅР°РєРѕРјС‹. Р‘СѓРґРµРј РЅР°РґСЏС‚СЊСЃСЏ, С‡С‚Рѕ РєС‚Рѕ-С‚Рѕ РёР· РЅРёС… РІ СЌС‚РѕРј РіРѕРґСѓ, РЅР°РєРѕРЅРµС† СЃРјРѕР¶РµС‚ СЂРµР°Р»РёР·РѕРІР°С‚СЊ СЃРІРѕСЋ РјРµС‡С‚Сѓ. РўР°РєР¶Рµ, РєРѕРЅРµС‡РЅРѕ, РІ РєРѕРЅРєСѓСЂСЃРµ РјРЅРѕРіРѕ Рё РЅРѕРІРёС‡РєРѕРІ, РєРѕС‚РѕСЂС‹Рµ СѓС‡Р°СЃС‚РІСѓСЋС‚ РІРїРµСЂРІС‹Рµ. РЎРїР°СЃРёР±Рѕ РІР°Рј РІСЃРµРј Р±РѕР»СЊС€РѕРµ Рё СѓРґР°С‡Рё!" 13/01 Deadline for nominations to take part in Spanish preselection 2010 has passed this night. Around 480 entries have been received. Pop/Rock is the most used music style and Barcelona and Madrid have been geographical leaders on the number of submissions. After checking and validating, the complete list of participants will be published on Monday, 18th of January at midday. Voting will start at the same time and will remain open until 12.00 on Friday, February 5th. Each user will be able to submit up to 5 votes from a single valid e-mail address. As in previous years, each and every vote will be checked and recorded to ensure transparency. Once validated, the votes will be added to the scoreboard, which will be updated several times per day. In any case, like in previous years, TVE has the right to deduct invalid votes made with robots or scripts and to eliminate in any moment any candidate that's not fulfilling the rules. Among the latest applicants are Anabel Conde, runner-up of Eurovision 1995 with "Sin miedos", winner of OT 5 Lorena Gomez with "Amor magico", Rebecca with "Valentino Boy", former Junior Eurovision preselection Blas Canto with "Hoy quisiera" and others. РЎСЂРѕРє РїСЂРёРµРјР° Р·Р°СЏРІРѕРє РЅР° СѓС‡Р°СЃС‚РёРµ РІ РёСЃРїР°РЅСЃРєРѕРј РѕС‚Р±РѕСЂРµ РЅР° Р•РІСЂРѕРІРёРґРµРЅРёРµ 2010 РёСЃС‚РµРє СЃРµРіРѕРґРЅСЏ РЅРѕС‡СЊСЋ. Р’СЃРµРіРѕ Р±С‹Р»Рѕ РїРѕР»СѓС‡РµРЅРѕ РѕРєРѕР»Рѕ 480 РїРµСЃРµРЅ. РџРѕРї/СЂРѕРє - РѕСЃРЅРѕРІРЅРѕР№ РёСЃРїРѕР»СЊР·СѓРµРјС‹Р№ РјСѓР·С‹РєР°Р»СЊРЅС‹Р№ СЃС‚РёР»СЊ, Р±РѕР»СЊС€Рµ РІСЃРµРіРѕ Р·Р°СЏРІРѕРє РїРѕСЃС‚СѓРїРёР»Рѕ РёР· Р‘Р°СЂСЃРµР»РѕРЅС‹ Рё РњР°РґСЂРёРґР°. РџРѕСЃР»Рµ РёС… РїСЂРѕРІРµСЂРєРё РЅР° СЃРѕРѕС‚РІРµС‚СЃС‚РІРёРµ РїСЂР°РІРёР»Р°Рј, РѕРєРѕРЅС‡Р°С‚РµР»СЊРЅС‹Р№ СЃРїРёСЃРѕРє СѓС‡Р°СЃС‚РЅРёРєРѕРІ Р±СѓРґРµС‚ РѕРїСѓР±Р»РёРєРѕРІР°РЅ РІ РїРѕРЅРµРґРµР»СЊРЅРёРє, 18РіРѕ СЏРЅРІР°СЂСЏ РІ РїРѕР»РґРµРЅСЊ. РЎ СЌС‚РѕРіРѕ Р¶Рµ РјРѕРјРµРЅС‚Р° РЅР°С‡РЅРµС‚СЃСЏ РіРѕР»РѕСЃРѕРІР°РЅРёРµ, РєРѕС‚РѕСЂРѕРµ Р±СѓРґРµС‚ РѕС‚РєСЂС‹С‚Рѕ РґРѕ 12.00 РїСЏС‚РЅРёС†С‹, 5РіРѕ С„РµРІСЂР°Р»СЏ. РљР°Р¶РґС‹Р№ РїРѕСЃРµС‚РёС‚РµР»СЊ СЃРјРѕР¶РµС‚ РїРѕРґР°С‚СЊ РґРѕ 5 РіРѕР»РѕСЃРѕРІ РµР¶РµРґРЅРµРІРЅРѕ СЃ РѕРґРЅРѕРіРѕ РґРµР№СЃС‚РІСѓСЋС‰РµРіРѕ Р°РґСЂРµСЃР° СЌР»РµРєС‚СЂРѕРЅРЅРѕР№ РїРѕС‡С‚С‹. РљР°Рє Рё РІ РїСЂРѕС€Р»С‹Рµ РіРѕРґС‹, РІСЃРµ РіРѕР»РѕСЃР° Р±СѓРґСѓС‚ РїСЂРѕС…РѕРґРёС‚СЊ РїСЂРѕРІРµСЂРєСѓ РґР»СЏ РѕР±РµСЃРїРµС‡РµРЅРёСЏ РїСЂРѕР·СЂР°С‡РЅРѕСЃС‚Рё РїСЂРѕС†РµСЃСЃР° РѕС‚Р±РѕСЂР°. РџРѕСЃР»Рµ РёС… РїРѕРґС‚РІРµСЂР¶РґРµРЅРёСЏ, РѕРЅРё Р±СѓРґСѓС‚ РґРѕР±Р°РІР»СЏС‚СЊСЃСЏ РІ С‚Р°Р±Р»РёС†Сѓ, РєРѕС‚РѕСЂР°СЏ Р±СѓРґРµС‚ РѕР±РЅРѕРІР»СЏС‚СЊСЃСЏ РЅРµСЃРєРѕР»СЊРєРѕ СЂР°Р· РІ РґРµРЅСЊ. Р’ Р»СЋР±РѕРј СЃР»СѓС‡Р°Рµ, РєР°Рє Рё РІ РїСЂРѕС€Р»С‹Рµ РіРѕРґС‹, TVE РѕСЃС‚Р°РІР»СЏРµС‚ Р·Р° СЃРѕР±РѕР№ РїСЂР°РІРѕ РІС‹С‡РµСЃС‚СЊ РіРѕР»РѕСЃР°, "РЅР°РєСЂСѓС‡РµРЅРЅС‹Рµ" СЂРѕР±РѕС‚Р°РјРё РёР»Рё СЃРєСЂРёРїС‚Р°РјРё Рё РґРёСЃРєРІР°Р»РёС„РёС†РёСЂРѕРІР°С‚СЊ РєР°РЅРґРёРґР°С‚РѕРІ, РЅРµ СѓРґРѕРІР»РµС‚РІРѕСЂСЏСЋС‰РёС… РїСЂР°РІРёР»Р°Рј РѕС‚Р±РѕСЂР°. РЎСЂРµРґРё РїРѕСЃР»РµРґРЅРёС… Р°РїРїР»РёРєР°РЅС‚РѕРІ: Anabel Conde, СЃРµСЂРµР±СЂСЏРЅРЅС‹Р№ РїСЂРёР·РµСЂ Р•РІСЂРѕРІРёРґРµРЅРёСЏ 1995 СЃ "Sin miedos", РїРѕР±РµРґРёС‚РµР»СЊРЅРёС†Р° РћРў 5 Lorena Gomez СЃ "Amor magico", Rebecca СЃ РїРµСЃРЅРµР№ "Valentino Boy", Р±С‹РІС€РёР№ СѓС‡Р°СЃС‚РЅРёРє РѕС‚Р±РѕСЂРѕРІ РЅР° Р”РµС‚СЃРєРѕРµ Р•РІСЂРѕРІРёРґРµРЅРёРµ Blas Canto СЃ "Hoy quisiera" Рё РґСЂСѓРіРёРµ. 11/01 Preselection entries are coming in Spain, and on yesterday, there were 240 songs registered. Among new applicants is 2009 finalist Jorge Gonzalez with Amada mia. Many different submitted entries can be heard here. РџСЂРѕРґРѕР»Р¶Р°РµС‚СЃСЏ РїСЂРёРµРј Р·Р°СЏРІРѕРє РЅР° СѓС‡Р°СЃС‚РёРµ РІ РёСЃРїР°РЅСЃРєРѕРј РѕС‚Р±РѕСЂРµ. РџРѕ РґР°РЅРЅС‹Рј РЅР° РІС‡РµСЂР° Р±С‹Р»Рё Р·Р°СЂРµРіРёСЃС‚СЂРёСЂРѕРІР°РЅС‹ 240 РїРµСЃРµРЅ. РЎСЂРµРґРё РЅРѕРІС‹С… Р°РїРїР»РёРєР°РЅС‚РѕРІ - С„РёРЅР°Р»РёСЃС‚ 2009 РіРѕРґР° РҐРѕСЂС…Рµ Р“РѕРЅР·Р°Р»РµСЃ СЃ РїРµСЃРЅРµР№ Amada mia. РњРЅРѕР¶РµСЃС‚РІРѕ РїРµСЃРµРЅ-РєР°РЅРґРёРґР°С‚РѕРІ РјРѕР¶РЅРѕ СѓСЃР»С‹С€Р°С‚СЊ Р·РґРµСЃСЊ. 08/01 RTVE: "General level of submissions so far is a bit disappointing, with few exceptions", declared Spanish broadcaster in it's blog 4 days before the submission deadline. The advice given to those who want to apply, but still hasn't done it: "Do not try to be in Eurovision format, just be yourself. And if you try to do something in Eurovision format, do it modern, and not in style of 70-80-90s". Candidates have also been adviced to work more carefully on the photo and videos that they are obliged to submit along the entries, as this will play a role with people judging the hundreds of songs. Among the latest entrants being added to the list are Daniel Diges, who has been awarded "Best Musical Actor of the year" in 2009. He will run with the song "Algo pequeСЃito". The band Bizarre that took part in the national final in 2008 is coming back with "Un segundo mas". Some more recent entries can be seen at Eurovision-Spain. RTVE: "РћР±С‰РёР№ СѓСЂРѕРІРµРЅСЊ РїСЂРёРЅСЏС‚С‹С… РЅР° СЃРµРіРѕРґРЅСЏ Р·Р°СЏРІРѕРє РЅРµСЃРєРѕР»СЊРєРѕ СЂР°Р·РѕС‡Р°СЂРѕРІС‹РІР°СЋС‰, СЃ РЅРµСЃРєРѕР»СЊРєРёРјРё РёСЃРєР»СЋС‡РµРЅРёСЏРјРё", Р·Р°СЏРІРёР» СЃРµРіРѕРґРЅСЏ, Р·Р° 4 РґРЅСЏ РґРѕ РѕРєРѕРЅС‡Р°РЅРёСЏ РїСЂРёРµРјР° РїРµСЃРµРЅ, РёСЃРїР°РЅСЃРєРёР№ С‚РµР»РµРєР°РЅР°Р» РІ СЃРІРѕРµРј Р±Р»РѕРіРµ. РЎРѕРІРµС‚, РєРѕС‚РѕСЂС‹Р№ РґР°РµС‚СЃСЏ С‚РµРј, РєС‚Рѕ РїР»Р°РЅРёСЂСѓРµС‚ РїСЂРёРЅСЏС‚СЊ СѓС‡Р°СЃС‚РёРµ РІ РѕС‚Р±РѕСЂРµ, РЅРѕ РїРѕРєР° РЅРµ СЃРґРµР»Р°Р» СЌС‚РѕРіРѕ: "РќРµ РїС‹С‚Р°Р№С‚РµСЃСЊ РїРѕРїР°СЃС‚СЊ РІ С„РѕСЂРјР°С‚ Р•РІСЂРѕРІРёРґРµРЅРёСЏ, Р±СѓРґСЊС‚Рµ СЃР°РјРёРј СЃРѕР±РѕР№. Рђ РµСЃР»Рё СѓР¶ РїС‹С‚Р°РµС‚РµСЃСЊ, С‚Рѕ СЃР»РµРґСѓР№С‚Рµ СЃРѕРІСЂРµРјРµРЅРЅРѕРјСѓ С„РѕСЂРјР°С‚Сѓ РєРѕРЅРєСѓСЂСЃР°, Р° РЅРµ С‚Р°РєРѕРјСѓ, РєР°РєРѕР№ Р±С‹Р» РІ 70-80-90Рµ РіРѕРґС‹". РљР°РЅРґРёРґР°С‚Р°Рј С‚Р°РєР¶Рµ СЂРµРєРѕРјРµРЅРґРѕРІР°РЅРѕ СѓРґРµР»РёС‚СЊ Р±РѕР»СЊС€Рµ РІРЅРёРјР°РЅРёСЏ С„РѕС‚РѕРіСЂР°С„РёСЏРј Рё РІРёРґРµРѕ, РєРѕС‚РѕСЂС‹Рµ РѕРЅРё РїРѕРґР°СЋС‚ РІРјРµСЃС‚Рµ СЃРѕ СЃРІРѕРёРјРё РїРµСЃРЅСЏРјРё, РїРѕСЃРєРѕР»СЊРєСѓ СЌС‚Рѕ РёРіСЂР°РµС‚ СЂРѕР»СЊ РІ РѕС†РµРЅРєРµ СЃР»СѓС€Р°С‚РµР»РµР№. РЎСЂРµРґРё РїРѕСЃР»РµРґРЅРёС… РѕР±СЉСЏРІР»РµРЅРЅС‹С… РєР°РЅРґРёРґР°С‚РѕРІ Daniel Diges, РїСЂРёР·РЅР°РЅРЅС‹Р№ РІ РїСЂРѕС€Р»РѕРј РіРѕРґСѓ "Р›СѓС‡С€РёРј Р°РєС‚РµСЂРѕРј РјСЋР·РёРєР»РѕРІ", РєРѕС‚РѕСЂС‹Р№ РїРѕРґРіРѕС‚РѕРІРёР» РїРµСЃРЅСЋ "Algo pequecito". Р“СЂСѓРїРїР° Bizzare, С„РёРЅР°Р»РёСЃС‚С‹ РѕС‚Р±РѕСЂР° 2008, РІРѕР·РІСЂР°С‰Р°СЋС‚СЃСЏ СЃ РїРµСЃРЅРµР№ "Un segundo mas". Р•С‰Рµ СЂСЏРґ РЅРѕРІС‹С… Р·Р°СЏРІРѕРє РјРѕР¶РЅРѕ СѓРІРёРґРµС‚СЊ РЅР° Eurovision-Spain. 03/01 New entrants are getting in line to represent Spain in Eurovision 2010. Among them, as Eurovision-Spain reports, is winner of 2nd edition of "Operacion Triunfo" Ainhoa Cantalapiedra. She is bidding with a song "Volvere", produced by Josep Llobel, composed by Rafael Artesero with lyrics by Ainhoa herself. "This year I have received perfect song that can represent Spain very well at the contest", says singer. "I know that there are also many other artists as good as me competing to represent Spain in Eurovision, but I will do everything possible to be selected and get the best possible position to Spain", said Ainhoa. Moritz Weisskopf, "Operacion Triunfo" finalist in 2006, which is preparing in February to release his first album, has prepared for Eurovision song "Todo para mi". Finalists of Salvemo Eurovision in 2008, Arkaitz, who have also been bidding in 2007 and 2009 are back this year with the song "Angel caido". Javier Enzo is back this year with "Una carta de amor". РќРѕРІС‹Рµ РєР°РЅРґРёРґР°С‚С‹ СЃС‚Р°РЅРѕРІСЏС‚СЃСЏ РІ РѕС‡РµСЂРµРґСЊ Р·Р° РїСЂР°РІРѕ РїСЂРµРґСЃС‚Р°РІРёС‚СЊ Р�СЃРїР°РЅРёСЋ РЅР° Р•РІСЂРѕРІРёРґРµРЅРёРё 2010. РЎСЂРµРґРё РЅРёС…, РєР°Рє СЃРѕРѕР±С‰Р°РµС‚ Eurovision-Spain, Рё РїРѕР±РµРґРёС‚РµР»СЊРЅРёС†Р° 2РіРѕ РІС‹РїСѓСЃРєР° С€РѕСѓ "РћРїРµСЂР°С†РёСЏ С‚СЂРёСѓРјС„" Ainhoa Cantalapiedra. РћРЅР° РІС‹СЃС‚Р°РІР»СЏРµС‚ РЅР° РєРѕРЅРєСѓСЂСЃ РїРµСЃРЅСЋ "Volvere", РєРѕС‚РѕСЂСѓСЋ СЃРїСЂРѕРґСЋСЃРёСЂРѕРІР°Р» Josep Llobel, РјСѓР·С‹РєСѓ РЅР°РїРёСЃР°Р» Rafael Artesero, Р° С‚РµРєСЃС‚ - СЃР°РјР° РїРµРІРёС†Р°. "Р’ СЌС‚РѕРј РіРѕРґСѓ СЏ РЅР°С€Р»Р° РѕС‚Р»РёС‡РЅСѓСЋ РїРµСЃРЅСЋ, РєРѕС‚РѕСЂР°СЏ СЃРїРѕСЃРѕР±РЅР° РґРѕСЃС‚РѕР№РЅРѕ РїСЂРµРґСЃС‚Р°РІРёС‚СЊ Р�СЃРїР°РЅРёСЋ РЅР° Р•РІСЂРѕРІРёРґРµРЅРёРё", РіРѕРІРѕСЂРёС‚ РђР№РЅРѕР°. "РЇ Р·РЅР°СЋ, С‡С‚Рѕ СЂСЏРґ РґСЂСѓРіРёС… РёСЃРїРѕР»РЅРёС‚РµР»РµР№, РЅРµ РјРµРЅРµРµ СЃРёР»СЊРЅС‹С… С‡РµРј СЏ, С…РѕС‚СЏС‚ РїСЂРёРЅСЏС‚СЊ СѓС‡Р°СЃС‚РёРµ РІ РѕС‚Р±РѕСЂРµ, РЅРѕ СЏ СЃРґРµР»Р°СЋ РІСЃРµ РІРѕР·РјРѕР¶РЅРѕРµ, С‡С‚РѕР±С‹ РјРµРЅСЏ РІС‹Р±СЂР°Р»Рё РЅР° РєРѕРЅРєСѓСЂСЃ Рё С‚Р°Рј РґРѕСЃС‚РёС‡СЊ РЅР°РёР»СѓС‡С€РµРіРѕ СЂРµР·СѓР»СЊС‚Р°С‚Р°", РґРѕР±Р°РІР»СЏРµС‚ РїРµРІРёС†Р°. Moritz Weisskops, С„РёРЅР°Р»РёСЃС‚ "РћРїРµСЂР°С†РёРё РўСЂРёСѓРјС„" 2006, РєРѕС‚РѕСЂС‹Р№ РіРѕС‚РѕРІРёС‚ РІ С„РµРІСЂР°Р»Рµ РІС‹РїСѓСЃС‚РёС‚СЊ СЃРІРѕР№ РґРµР±СЋС‚РЅС‹Р№ Р°Р»СЊР±РѕРј, РІС‹СЃС‚Р°РІР»СЏРµС‚ РЅР° Р•РІСЂРѕРІРёРґРµРЅРёРµ РїРµСЃРЅСЋ "Todo para mi". Р¤РёРЅР°Р»РёСЃС‚С‹ Salvemo Eurovision 2008, РіСЂСѓРїРїР° Arkaitz, РєРѕС‚РѕСЂС‹Рµ С‚Р°РєР¶Рµ РїСЂРёРЅРёРјР°Р»Рё СѓС‡Р°СЃС‚РёРµ РІ РѕС‚Р±РѕСЂР°С… 2007 Рё 2009, РІ СЌС‚РѕС‚ СЂР°Р· РїРѕРґРіРѕС‚РѕРІРёР»Рё Р±Р°Р»Р»Р°РґСѓ "Angel caido". Javier Enzo РІРЅРѕРІСЊ РїСЂРёРјРµС‚ СѓС‡Р°СЃС‚РёРµ РІ РѕС‚Р±РѕСЂРµ СЃ РєРѕРјРїРѕР·РёС†РёРµР№ "Una carta de amor". 30/12 TVE has so far validated over 150 nominations to represent Spain in the next edition of the Eurovision Song Contest, since the submission period was launched on 4 December, today a spokesman for the national broadcaster has informed Servimedia. Of these 150 entries that meet the requirements, most are in pop-rock genre, followed by ballads. By provinces, Barcelona and Madrid, in that order, are from where most candidates have come. Last year, of 978 nominations received, TVE validated only 455. Interested applicants still have time until 12 January to submit an entry and video presentation to RTVE. Also, RTVE has launched a special messageboard section, where interested composers can meet interested singers and enter in cooperation to create the song for Eurovision 2010. Meanwhile, RTVE has launched the contest with with the main prize being trip for two persons to Oslo for Eurovision final. To participate one should upload the YouTube video that will sum up the 2009 year for you. Deadline to participate in January 6th. More details are available here. РЎ 4РіРѕ РґРµРєР°Р±СЂСЏ, РјРѕРјРµРЅС‚Р° РЅР°С‡Р°Р»Р° РїСЂРёРµРј Р·Р°СЏРІРѕРє, TVE РїСЂРѕРІРµСЂРёР»Рѕ Рё СѓС‚РІРµСЂРґРёР»Рѕ Р±РѕР»РµРµ 150 РїРµСЃРµРЅ, РЅРѕРјРёРЅРёСЂРѕРІР°РЅРЅС‹С… РЅР° РїСЂР°РІРѕ РїСЂРµРґСЃС‚Р°РІРёС‚СЊ Р�СЃРїР°РЅРёСЋ РЅР° РїСЂРµРґСЃС‚РѕСЏС‰РµРј РєРѕРЅРєСѓСЂСЃРµ Р•РІСЂРѕРІРёРґРµРЅРёРµ 2010, Р·Р°СЏРІРёР» СЃРµРіРѕРґРЅСЏ РїСЂРµРґСЃС‚Р°РІРёС‚РµР»СЊ С‚РµР»РµРєР°РЅР°Р»Р°. Р�Р· СЌС‚РёС… 150 РєРѕРјРїРѕР·РёС†РёР№, СЃРѕРѕС‚РІРµС‚СЃС‚РІСѓСЋС‰РёС… РІСЃРµРј С‚СЂРµР±РѕРІР°РЅРёСЏРј, Р±РѕР»СЊС€РёРЅСЃС‚РІРѕ РЅР°РїРёСЃР°РЅС‹ РІ Р¶Р°РЅСЂРµ РїРѕРї-СЂРѕРє, Р·Р° РєРѕС‚РѕСЂС‹Рј РїРѕ РїРѕРїСѓР»СЏСЂРЅРѕСЃС‚Рё СЃР»РµРґСѓСЋС‚ Р±Р°Р»Р»Р°РґС‹. Р‘РѕР»СЊС€Р°СЏ С‡Р°СЃС‚СЊ Р·Р°СЏРІРѕРє РїРѕСЃС‚СѓРїРёР»Р° РёР· Р‘Р°СЂСЃРµР»РѕРЅС‹ Рё РњР°РґСЂРёРґР°, РІ С‚Р°РєРѕР№ РїРѕСЃР»РµРґРѕРІР°С‚РµР»СЊРЅРѕСЃС‚Рё. Р’ РїСЂРѕС€Р»РѕРј РіРѕРґСѓ РёР· 978 РїРѕР»СѓС‡РµРЅРЅС‹С… Р·Р°СЏРІРѕРє, TVE СѓС‚РІРµСЂРґРёР»Рѕ С‚РѕР»СЊРєРѕ 455. Р—Р°РёРЅС‚РµСЂРµСЃРѕРІР°РЅРЅС‹Рµ РєР°РЅРґРёРґР°С‚С‹ РІСЃРµ РµС‰Рµ РјРѕРіСѓС‚ РѕС‚РїСЂР°РІРёС‚СЊ РґРѕ 12РіРѕ СЏРЅРІР°СЂСЏ РїРµСЃРЅСЋ Рё РІРёРґРµРѕРїСЂРµР·РµРЅС‚Р°С†РёСЋ. РўР°РєР¶Рµ, RTVE Р·Р°РїСѓСЃС‚РёР»Рѕ СЃРїРµС†РёР°Р»СЊРЅС‹Р№ СЂР°Р·РґРµР» С„РѕСЂСѓРјР°, РіРґРµ Р·Р°РёРЅС‚РµСЂРµСЃРѕРІР°РЅРЅС‹Рµ РєРѕРјРїРѕР·РёС‚РѕСЂС‹ РјРѕРіСѓС‚ РІСЃС‚СЂРµС‚РёС‚СЊСЃСЏ СЃ РёСЃРїРѕР»РЅРёС‚РµР»СЏРјРё Рё РІРѕР№С‚Рё РІ СЃРѕС‚СЂСѓРґРЅРёС‡РµСЃС‚РІРѕ РґР»СЏ РїРѕРґРіРѕС‚РѕРІРєРё РїРµСЃРЅРё РЅР° Р•РІСЂРѕРІРёРґРµРЅРёРµ 2010. РўРµРј РІСЂРµРјРµРј, RTVE С‚Р°РєР¶Рµ РѕР±СЉСЏРІРёР»Рѕ РєРѕРЅРєСѓСЂСЃ СЃ РѕСЃРЅРѕРІРЅС‹Рј РїСЂРёР·РѕРј - РїРѕРµР·РґРєРѕР№ РЅР° РґРІРѕРёС… РІ РћСЃР»Рѕ РЅР° С„РёРЅР°Р» РєРѕРЅРєСѓСЂСЃР° Р•РІСЂРѕРІРёРґРµРЅРёРµ. Р”Р»СЏ СѓС‡Р°СЃС‚РёСЏ РЅРµРѕР±С…РѕРґРёРјРѕ Р·Р°РіСЂСѓР·РёС‚СЊ РЅР° Youtube РІРёРґРµРѕ, РєРѕС‚РѕСЂРѕРµ Р±СѓРґРµС‚ СЃСѓРјРјРёСЂРѕРІР°С‚СЊ РґР»СЏ РІР°СЃ СѓС…РѕРґСЏС‰РёР№ 2009 РіРѕРґ. РџРѕРґСЂРѕР±РЅРѕСЃС‚Рё Р°РєС†РёРё Р·РґРµСЃСЊ. 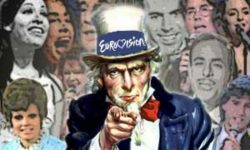 25/12 Submission deadline to take part in Eurovision preselection in Spain ends on 12th of January, but already several candidates have announced their bids in a new-shaped "Your Country Needs You" preselection. So far, very few really recognized singers have publically announced their intention to bid for the title, among them are Yanira Figueroa, who enters song "Perdoname" and Coral with "En una vida" (Tony Sanchez-Ohlsson, Thomas G:son, Andreas Rickstrand). Meanwhile, singer Mirela has decided not to take part in preselection this year. Several former contestants of "Operacion Triunfo" want to try themselves out in Eurovision: Patricia and Samuel, contestants of the latest edition of the show entering a duet "Recuerdame", Jesus de Manuel, participant of 2005 competition with song "Que quieres de mi", participant of 5th season Jose Galisteo with "Beautiful Life" from his latest album, "Luces y sombras" and Jorge Gonzalez will be back with "Amada Mia". Diana from OT 2009, Mimi from OT 2008 and Martha from show Popstars will present joint bid to Eurovision as well. They are joined in bidding by Telecinco journalist Karmele Marchante, who will under the name Pop Star Queen participate with the song "Soy un tsunami". But whether the bid from the other Spanish broadcaster will be as successful as in 2008? This year RTVE has reserved exclusive rights to air the participating entries and Telecinco has already broken the rule promoting their song in "Salvame" teleshow. Some familiar names from previous Eurovision preselections can be spotted among the bidders. The current lists include Isi with "Amor sin veneno", Angeles Vela with "Tan lejos de ti", Javier Enzo with "Una carta de amor", Anael with "Tu", Gio with "Spanish wild", Jimmy with "Dance para mi", Erica Magdaleno with "Revolucion", Iko de la Llilla with "Besame", Goico with "Un lugar para amarnos", Arthur Abgar with "Me ensenaste", Shelamay with "Princesa del mar", Sonikah with "City of the Sun", Juan Xavier with "A quien amas", Goico with "Un lugal para amarnos" and other less known names. Various submitted entries can be heard on Myspace or on Youtube, as well as at Eurovision-Spain. As ESCKaz earlier announced submission period for "Tu pais te necesita" runs from 4th of December till 12th of January. Only Spanish nationals or persons residing in the country for minimum of two years can apply. After the deadline, all entries will be published on the TVE website and as usual internet voting will be run for 3 weeks, however, this year, there will be no categories. Up to 5 votes per e-mail address per day can be casted. РџРµСЂРёРѕРґ РїСЂРёРµРјР° Р·Р°СЏРІРѕРє РЅР° СѓС‡Р°СЃС‚РёРµ РІ РёСЃРїР°РЅСЃРєРѕРј РѕС‚Р±РѕСЂРµ РЅР° Р•РІСЂРѕРІРёРґРµРЅРёРµ Р·Р°РІРµСЂС€Р°РµС‚СЃСЏ 12РіРѕ СЏРЅРІР°СЂСЏ, РЅРѕ СѓР¶Рµ СЂСЏРґ РєР°РЅРґРёРґР°С‚РѕРІ РѕР±СЉСЏРІРёР»Рё Рѕ СЃРІРѕРµРј Р¶РµР»Р°РЅРёРё РїСЂРёРЅСЏС‚СЊ СѓС‡Р°СЃС‚РёРµ РІ РѕР±РЅРѕРІР»РµРЅРЅРѕРј РѕС‚Р±РѕСЂРµ "Р’Р°С€Р° СЃС‚СЂР°РЅР° РЅСѓР¶РґР°РµС‚СЃСЏ РІ РІР°СЃ". РќР° РґР°РЅРЅС‹Р№ РјРѕРјРµРЅС‚, СЃСЂРµРґРё РЅРёС… РЅРµ С‚Р°Рє РјРЅРѕРіРѕ С€РёСЂРѕРєРѕ РёР·РІРµСЃС‚РЅС‹С… РёРјРµРЅ, СЃСЂРµРґРё РєРѕС‚РѕСЂС‹С… СЃС‚РѕРёС‚ РѕС‚РјРµС‚РёС‚СЊ Yanira Figueroa СЃ РїРµСЃРЅРµР№ "Perdoname" Рё Coral c "En una vida" (Tony Sanchez-Ohlsson, Thomas G:son, Andreas Rickstrand). РўРµРј РІСЂРµРјРµРЅРµРј, РїРµРІРёС†Р° Mirela СЂРµС€РёР»Р° РЅРµ РїСЂРёРЅРёРјР°С‚СЊ СѓС‡Р°СЃС‚РёСЏ РІ РѕС‚Р±РѕСЂРµ СЌС‚РѕРіРѕ РіРѕРґР°. РќР° СѓС‡Р°СЃС‚РёРµ РІ Р•РІСЂРѕРІРёРґРµРЅРёРё РїСЂРµС‚РµРЅРґСѓСЋС‚ СЂСЏРґ Р±С‹РІС€РёС… РєРѕРЅРєСѓСЂСЃР°РЅС‚РѕРІ С€РѕСѓ "РћРїРµСЂР°С†РёСЏ РўСЂРёСѓРјС„": Patricia Рё Samuel, СѓС‡Р°СЃС‚РЅРёРєРё РїРѕСЃР»РµРґРЅРµР№ СЃРµСЂРёРё Р·Р°РїРёСЃР°Р»Рё РґСѓСЌС‚ "Recuerdame", Jesus de Manuel, СѓС‡Р°СЃС‚РЅРёРє С€РѕСѓ 2005 РіРѕРґР° РїСЂРµРґСЃС‚Р°РІРёС‚ РїРµСЃРЅСЋ "Que quieres de mi", Jose Galisteo РІС‹СЃС‚Р°РІРёС‚ РїРµСЃРЅСЋ "Beautiful Life" СЃРѕ СЃРІРѕРµРіРѕ РїРѕСЃР»РµРґРЅРµРіРѕ Р°Р»СЊР±РѕРјР° "Luces y sombras", Jorge Gonzalez С‚Р°РєР¶Рµ РІРµСЂРЅРµС‚СЃСЏ РЅР° РѕС‚Р±РѕСЂ СЃ РїРµСЃРЅРµР№ "Amada Mia". Diana c OT 2009, Mimi c OT 2008 Рё Martha СЃ С€РѕСѓ Popstars С‚Р°РєР¶Рµ РїСЂРµРґСЃС‚Р°РІСЏС‚ СЃРѕРІРјРµСЃС‚РЅСѓСЋ Р·Р°СЏРІРєСѓ. Рљ РЅРёРј РїСЂРёСЃРѕРµРґРёРЅРёС‚СЃСЏ С‚Р°РєР¶Рµ Р¶СѓСЂРЅР°Р»РёСЃС‚ С‚РµР»РµРєР°РЅР°Р»Р° Telenico Karmele Marchante, РєРѕС‚РѕСЂР°СЏ РїРѕРґ РёРјРµРЅРµРј Pop Star Queen РїСЂРёРјРµС‚ СѓС‡Р°СЃС‚РёРµ СЃ РїРµСЃРЅРµР№ "Soy un tsunami". РќРѕ СЃРјРѕР¶РµС‚ Р»Рё РїСЂРµРґСЃС‚Р°РІРёС‚РµР»СЊ РєРѕРЅРєСѓСЂРёСЂСѓСЋС‰РµРіРѕ РєР°РЅР°Р»Р° СЃС‚Р°С‚СЊ С‚Р°РєР¶Рµ СѓСЃРїРµС€РЅС‹Рј, РєР°Рє Рё РІ 2008 РіРѕРґСѓ? Р’ СЌС‚РѕС‚ СЂР°Р· RTVE РѕР±Р»Р°РґР°РµС‚ РІСЃРµРјРё СЌРєСЃРєР»СЋР·РёРІРЅС‹РјРё РїСЂР°РІР°РјРё РЅР° РїРѕРєР°Р· СѓС‡Р°СЃС‚РІСѓСЋС‰РёС… РєРѕРјРїРѕР·РёС†РёР№, Рё Telenico СѓР¶Рµ РЅР°СЂСѓС€РёР»Рѕ СЌС‚Рѕ РїСЂР°РІРёР»Рѕ РїСЂРѕРїР°РіР°РЅРґРёСЂСѓСЏ СЃРІРѕСЋ РїРµСЃРЅСЋ РІ С€РѕСѓ "Salvame". Р’ СЃРїРёСЃРєРµ РєР°РЅРґРёРґР°С‚РѕРІ РјРѕР¶РЅРѕ Р·Р°РјРµС‚РёС‚СЊ Рё РёРјРµРЅР°, Р·РЅР°РєРѕРјС‹Рµ РїРѕ РїСЂРѕС€Р»РѕРіРѕРґРЅРёРј РѕС‚Р±РѕСЂР°Рј РЅР° Р•РІСЂРѕРІРёРґРµРЅРёРµ. РЎСЂРµРґРё РЅРёС… Isi СЃ РїРµСЃРЅРµР№ "Amor sin veneno", Angeles Vela СЃ "Tan lejos de ti", Javier Enzo СЃ "Una carta de amor", Anael СЃ "Tu", Gio СЃ "Spanish wild", Jimmy c "Dance para mi", Erica Magdaleno c "Revolucion", Iko de la Llilla c "Besame", Goico c "Un lugar para amarnos", Arthur Abgar c "Me ensenaste", Shelamay c "Princesa del mar", Sonikah c "City of the Sun", Juan Xavier c "A quien amas", Goico c "Un lugal para amarnos", Рё РґСЂСѓРіРёРµ, РјРµРЅРµРµ РёР·РІРµСЃС‚РЅС‹Рµ РёРјРµРЅР°. Р СЏРґ РїРѕРґР°РЅРЅС‹С… Р·Р°СЏРІРѕРє СѓР¶Рµ РјРѕР¶РЅРѕ РїСЂРѕСЃР»СѓС€Р°С‚СЊ РЅР° Myspace РёР»Рё РЅР° Youtube, Р° С‚Р°РєР¶Рµ РЅР° Eurovision-Spain. РљР°Рє ESCKaz СЃРѕРѕР±С‰Р°Р» СЂР°РЅСЊС€Рµ, РїСЂРёРµРј Р·Р°СЏРІРѕРє РЅР° СѓС‡Р°СЃС‚РёРµ РІ С€РѕСѓ "Tu pais te necesita" РїСЂРѕРґРѕР»Р¶Р°РµС‚СЃСЏ СЃ 4РіРѕ РґРµРєР°Р±СЂСЏ РїРѕ 12Рµ СЏРЅРІР°СЂСЏ. Р’ РѕС‚Р±РѕСЂРµ РїСЂРёРЅРёРјР°С‚СЊ СѓС‡Р°СЃС‚РёРµ РјРѕРіСѓС‚ С‚РѕР»СЊРєРѕ РіСЂР°Р¶РґР°РЅРµ Р�СЃРїР°РЅРёРё РёР»Рё Р»РёС†Р°, РїСЂРѕР¶РёРІР°СЋС‰РёРµ РІ СЃС‚СЂР°РЅРµ РЅРµ РјРµРЅРµРµ РґРІСѓС… Р»РµС‚. РџРѕСЃР»Рµ Р·Р°РІРµСЂС€РµРЅРёСЏ РїСЂРёРµРјР° Р·Р°СЏРІРѕРє РІСЃРµ РїРѕР»СѓС‡РµРЅРЅС‹Рµ РїРµСЃРЅРё Р±СѓРґСѓС‚ СЂР°Р·РјРµС‰РµРЅС‹ РЅР° РёРЅС‚РµСЂРЅРµС‚ СЃР°Р№С‚Рµ С‚РµР»РµРєР°РЅР°Р»Р° TVE Рё, РєР°Рє РѕР±С‹С‡РЅРѕ, Р±СѓРґРµС‚ РїСЂРѕРІРµРґРµРЅРѕ РёРЅС‚РµСЂРЅРµС‚ РіРѕР»РѕСЃРѕРІР°РЅРёРµ. Р’ РѕС‚Р»РёС‡РёРё РѕС‚ РїСЂРѕС€Р»РѕРіРѕ РіРѕРґР°, РІ РЅРµРј, РѕРґРЅР°РєРѕ, РЅРµ Р±СѓРґРµС‚ РєР°С‚РµРіРѕСЂРёР№. Р’РѕР·РјРѕР¶РЅРѕ Р±СѓРґРµС‚ РїРѕРґР°С‚СЊ РІ РґРµРЅСЊ РґРѕ 5 РіРѕР»РѕСЃРѕРІ СЃ РѕРґРЅРѕРіРѕ Р°РґСЂРµСЃР° e-mail.